Our Stamp of Approval is now on Steller! A visually stunning mobile storytelling app. Combining photos, text and video, it is a great way to create and share your stories. 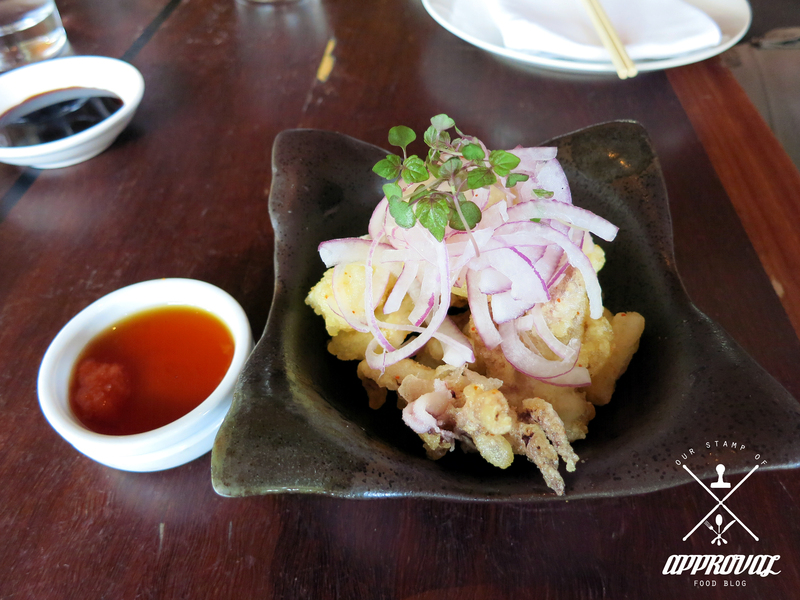 We are using this platform to share our dining experiences and some extras that we might not normally post on our site. 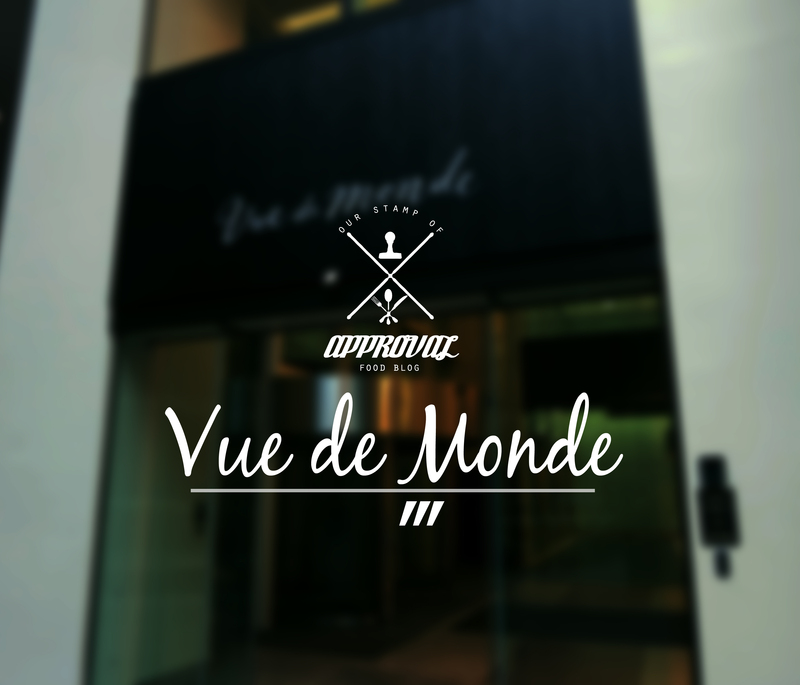 GO DISCOVER/SEARCH: Our Stamp of Approval. Jimmy: To be honest with everyone, I did not expect this at all. 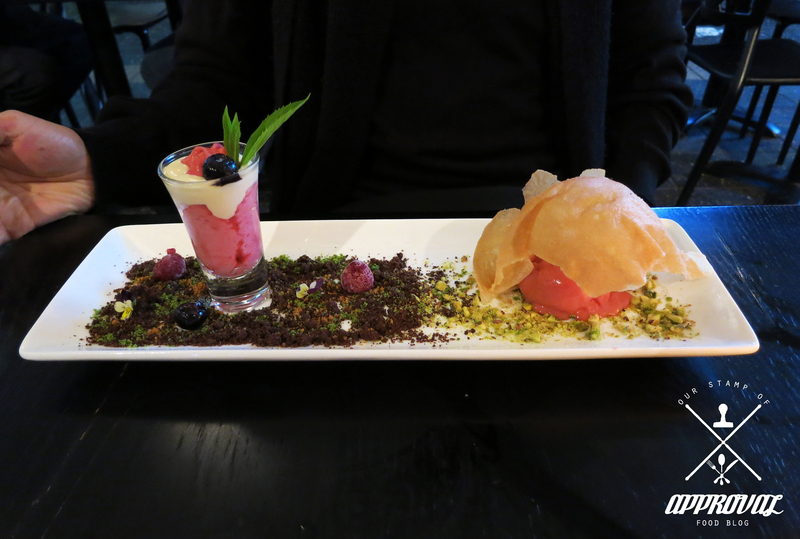 The presentation of Sabu’s desserts are amazing and their concepts are impressive. 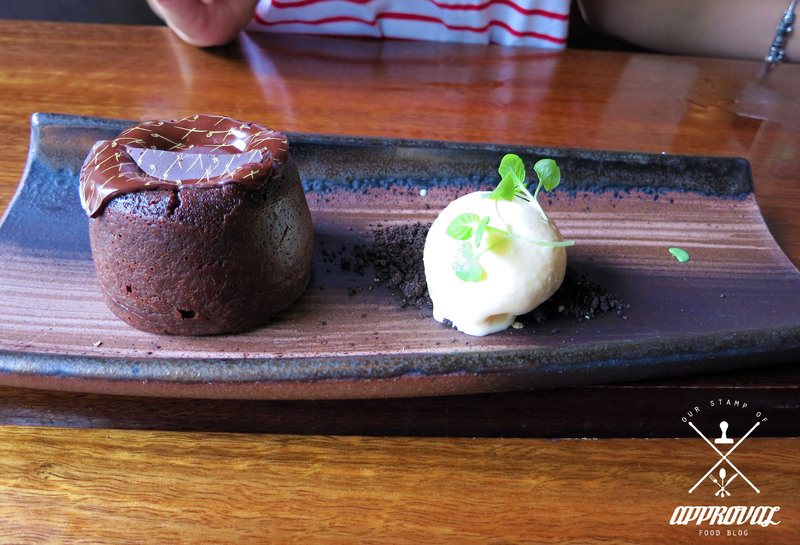 I went with the Kakusa because for one I really wanted to try the chocolate soil and two, I saw a mention of strawberry and raspberry, so Kakusa I did..
Jessica: Love the look of this restaurant.. it is very appealing. Service was more professional than I had expected and they were very friendly as well. 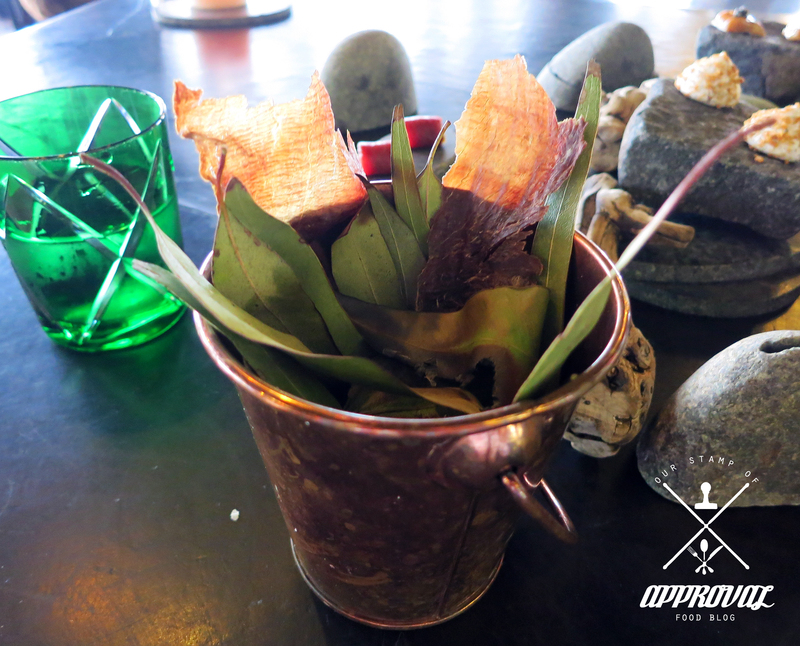 I love the way they present their wet hand towels (you’ll see when you dine there), its different and adds a little more to your experience dining there. Presentation was spot on, each dish looked beautiful. 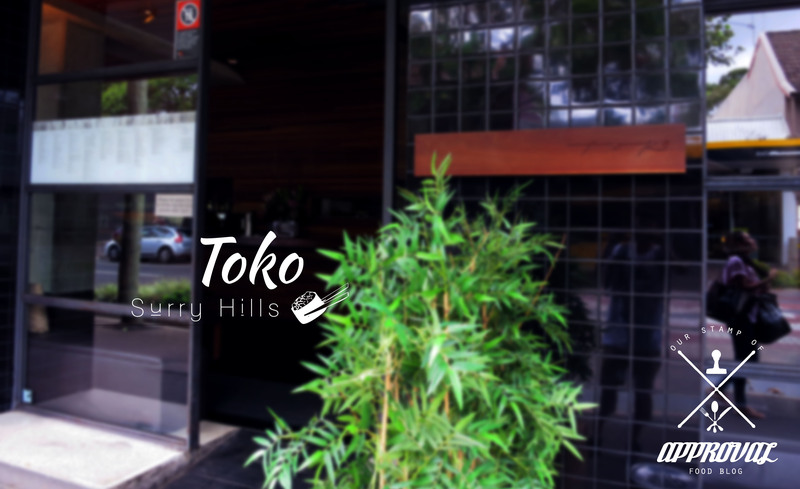 I do feel like some dishes are a little overpriced, however I would still recommend this restaurant if you are looking for a restaurant to dine at in the heart of Parramatta. I can’t wait to dine there again soon! Jimmy: Lately we have been finding places to dine locally and I had my eyes on this place for a while due to the amazing egg shaped candles they had. 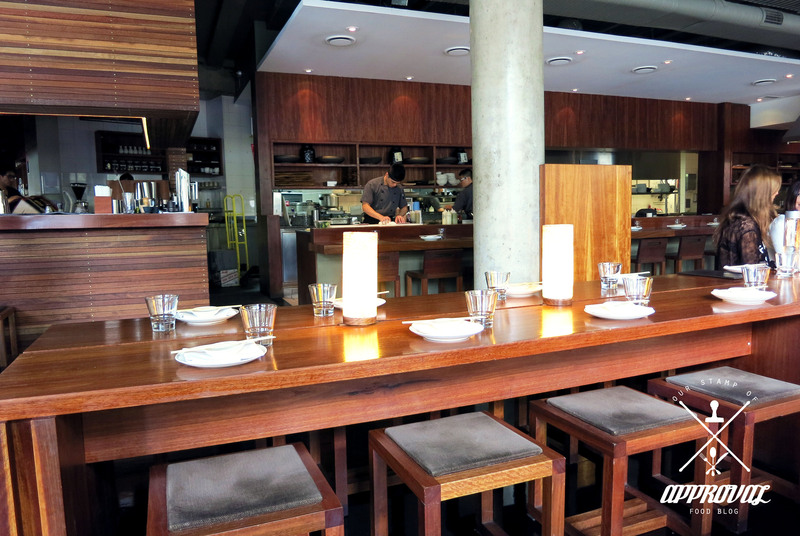 It is a very nice place to dine, visually appealing and a great strip of restaurants surrounding it. From the moment we walked in we were greeted and felt welcomed. 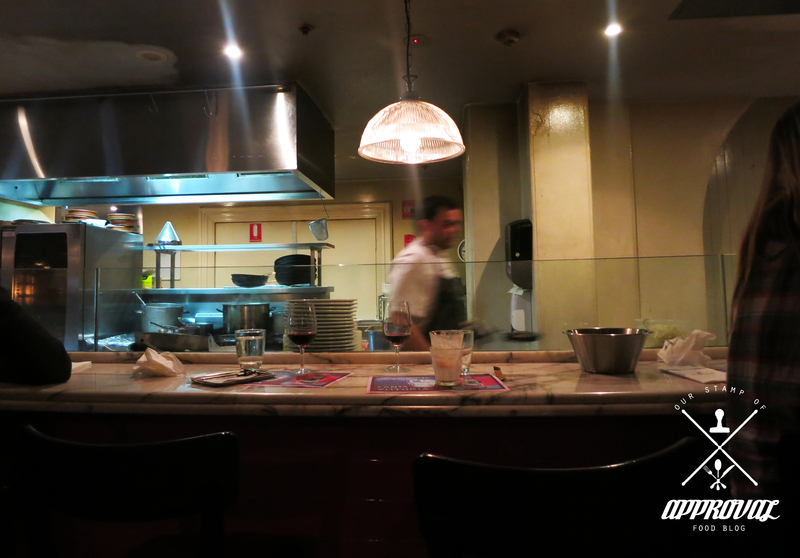 The service was polite and professional, the type you would not expect in many of the restaurants in Parramatta. 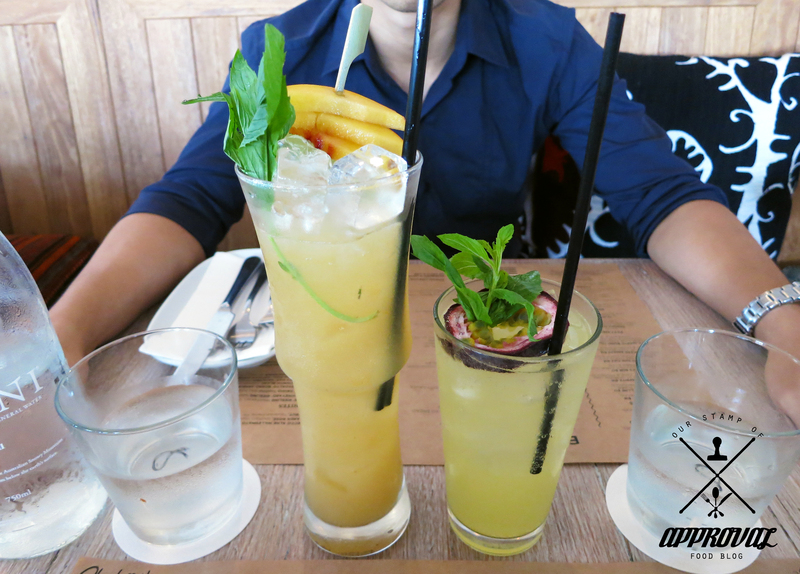 The menu was interesting and the drink menu was extensive. For those wanting sake or whatnot, this is the place to go to. 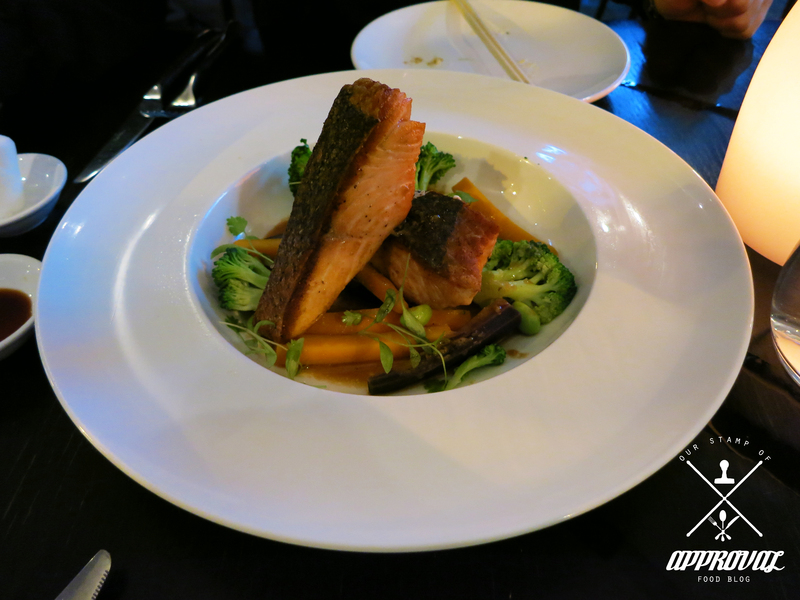 The food for the most part was very enjoyable, a little overpriced though the presentation of many of the meals makes you feel as if you’re fine dining. 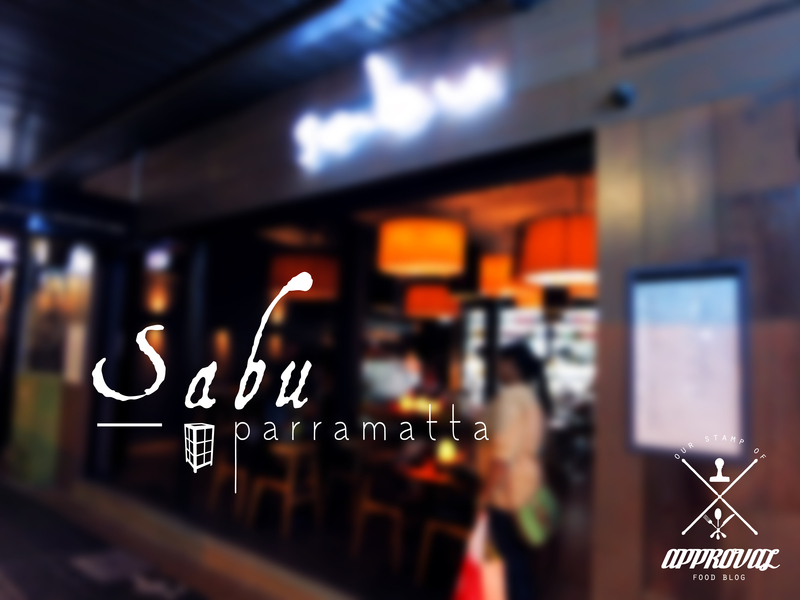 For the lovers of Japanese cuisine, put this on the list of places to eat next time you are in Parramatta, or even if you’re not, make a trip down there. 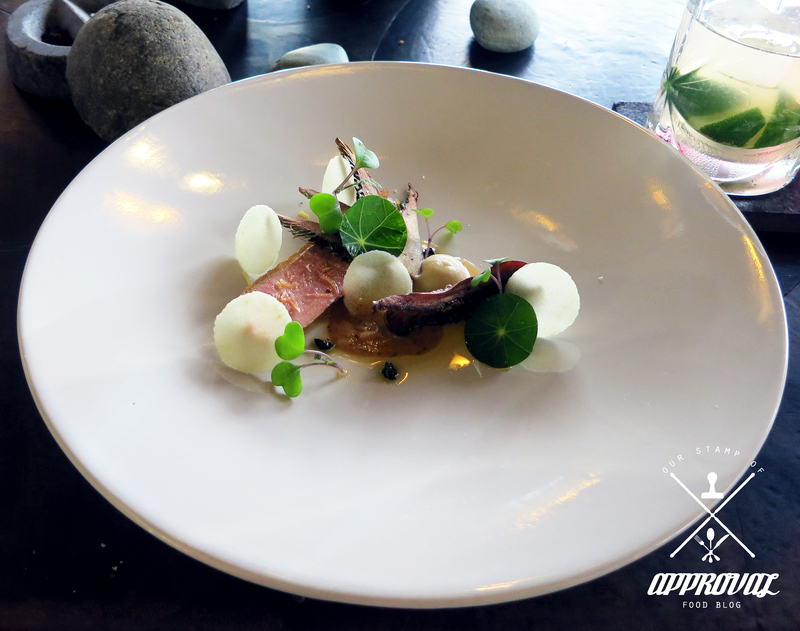 Jessica: Smoked duck breast was cooked very well, I loved the salty skin on it! The confit duck was okay, it was a little too bland for me. To my surprise I really enjoyed the sauteed kale! I felt like it went so well with the duck. The rhubarb tart was delicious, I loved the pastry. It was nice and crumbly and perfect amount of flavour. 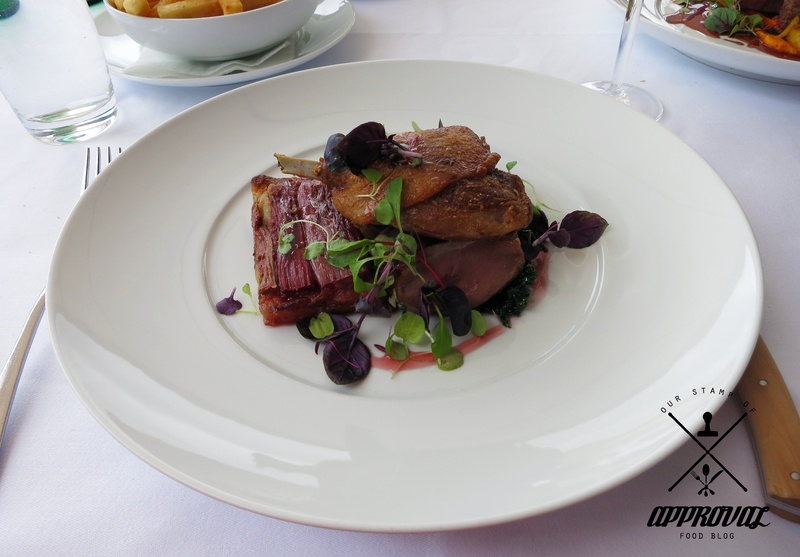 Now.. although most elements of this dish was cooked well, I honestly did not fancy the flavour combination of the rhubarb tart with the duck. The pastry of the tart just didn’t go well with the duck. I think if they had taken away the pastry and just left the rhubarb there then it may have paired better together. If I were to rate the smoked duck, confit duck and the sauteed kale as a separate dish from the rhubarb tart, then I would give them a 7.5/10 each. However, for the dish as a whole.. a 6.5/10. 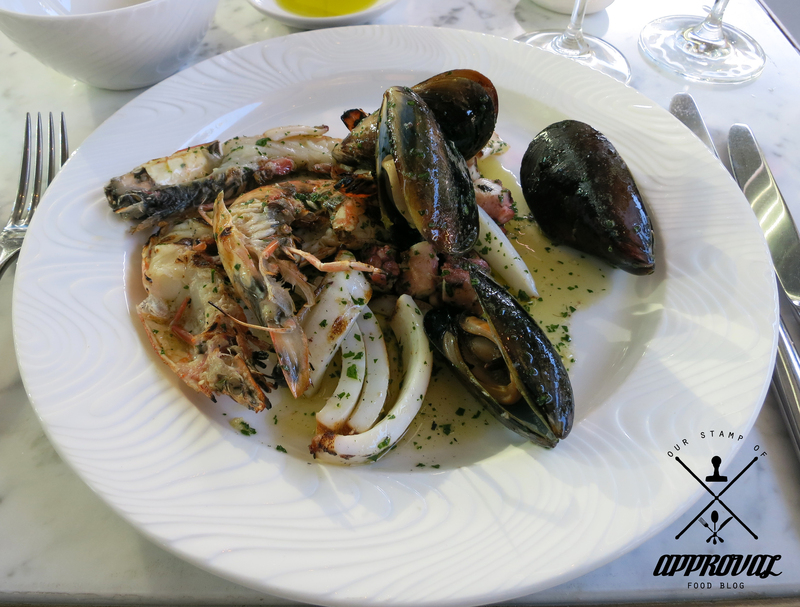 Jessica: Although the main was a bit of a let down.. Catalina is still one of my top 3 fine dining restaurants! Their staff are professional, attentive and most of them are friendly. We had an outdoor seating and the breeze outside was coming off a little strong.. the hostess was so kind to leave a scarf with me for when I did get cold! 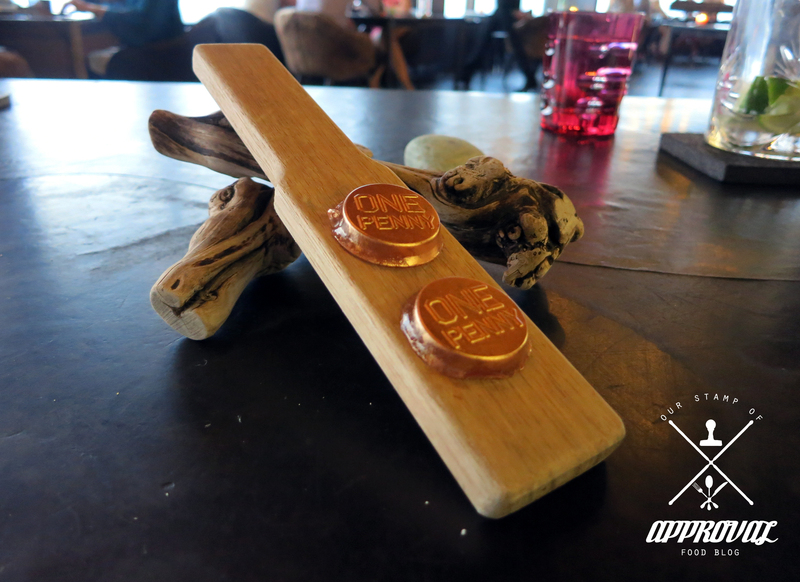 A gesture like that just shows that they actually care and they would do that extra bit more than just guide you to your table or serve you your dishes. I also love the fact that it is a family run business, you definitely feel warm and cozy and very welcome from the moment you walk in. I always recommend Catalina to my friends.. and I would still recommend it now, but maybe choose a different main from what I had. 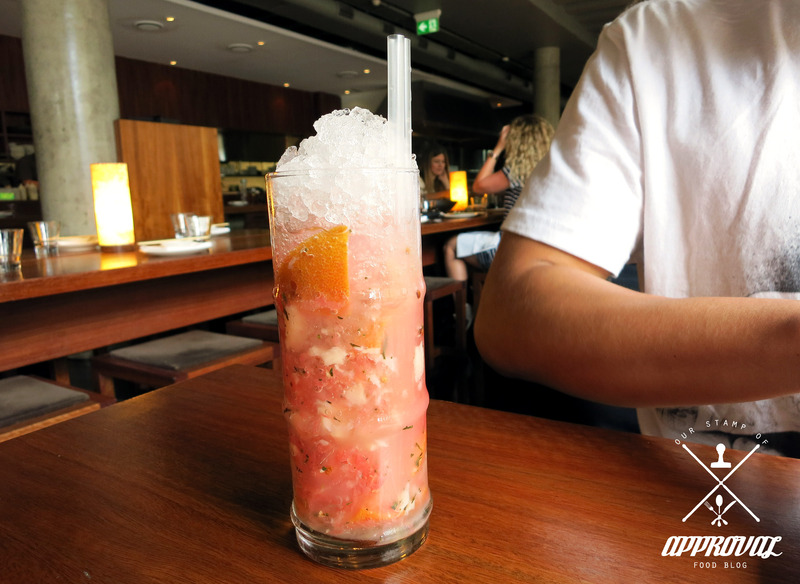 Jimmy: Having previously taken Jessica here a very long time ago, it really became an instant favourite of ours. The view we have on the balcony table is stunning and peaceful. 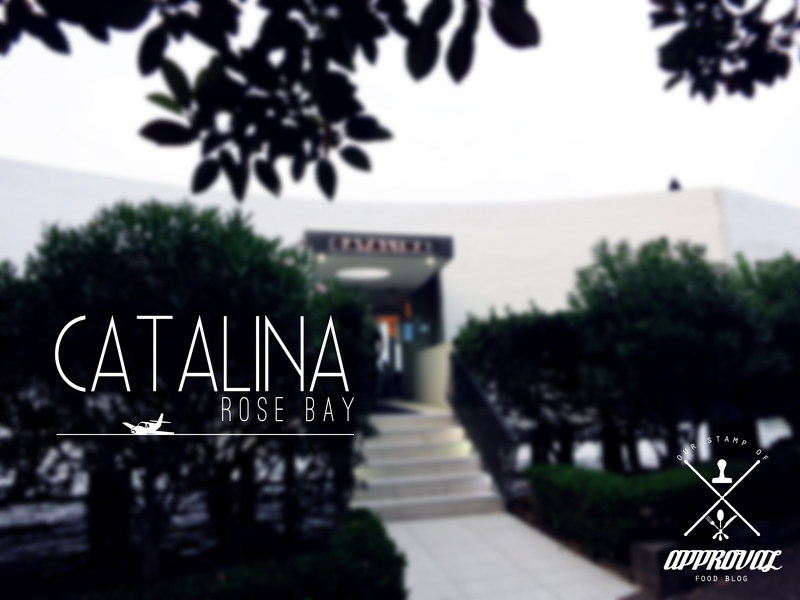 There’s no question that Catalina’s service is top notch from the last time we were here and with our most recent visit. It is a family business and you feel like you’re served with great care. Catalina is one of those places that couples can enjoy for any special occasion. 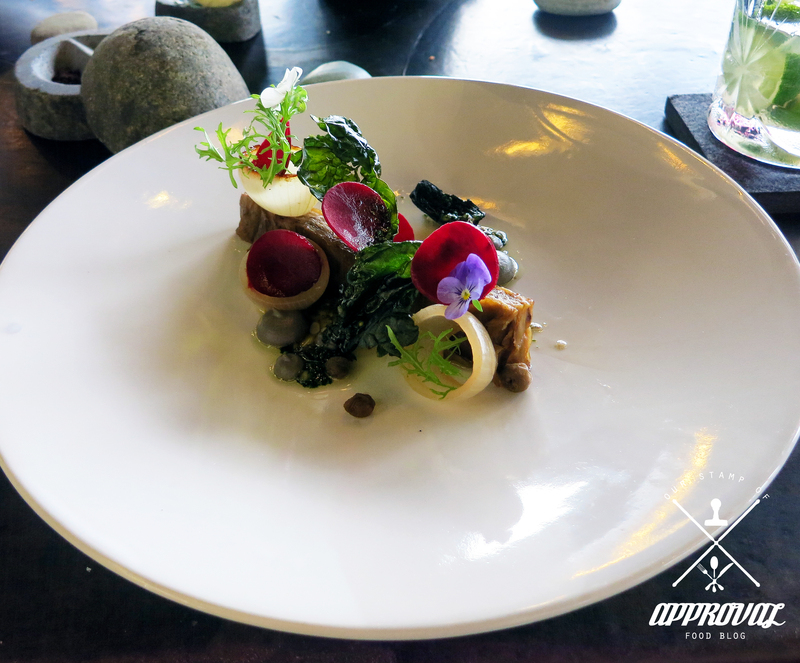 The food is fresh in it’s produce and plated beautifully. 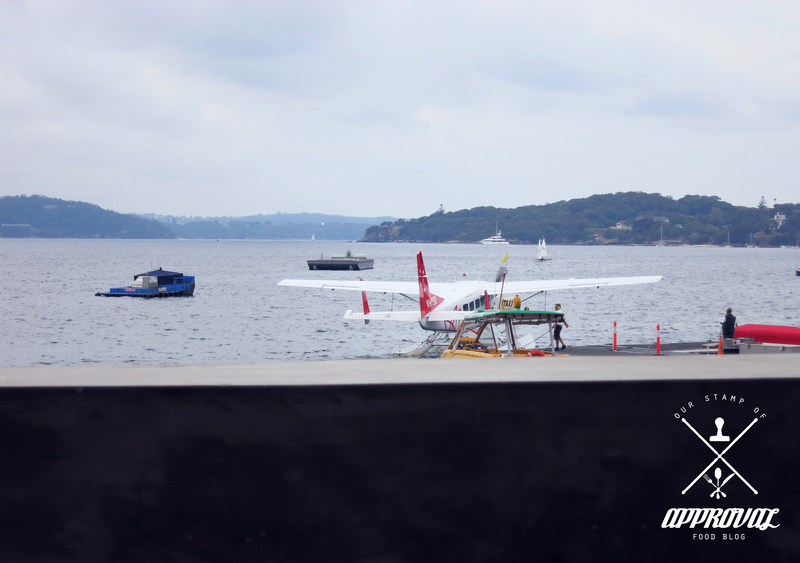 Really do recommend Catalina, maybe we’ll try the seaplane next time we dine. Jessica: It was a great experience at this restaurant. 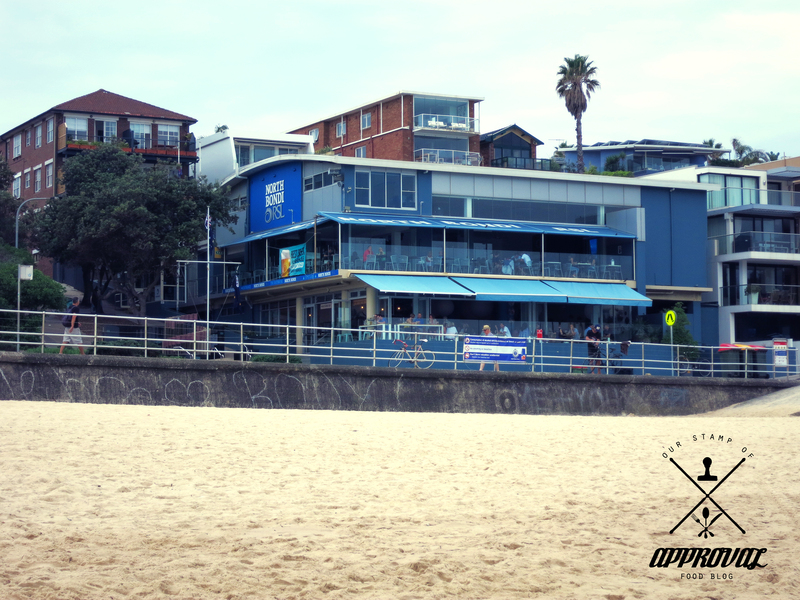 Definitely a great place to have lunch or dinner if you are hungry and you happen to be at the beach. 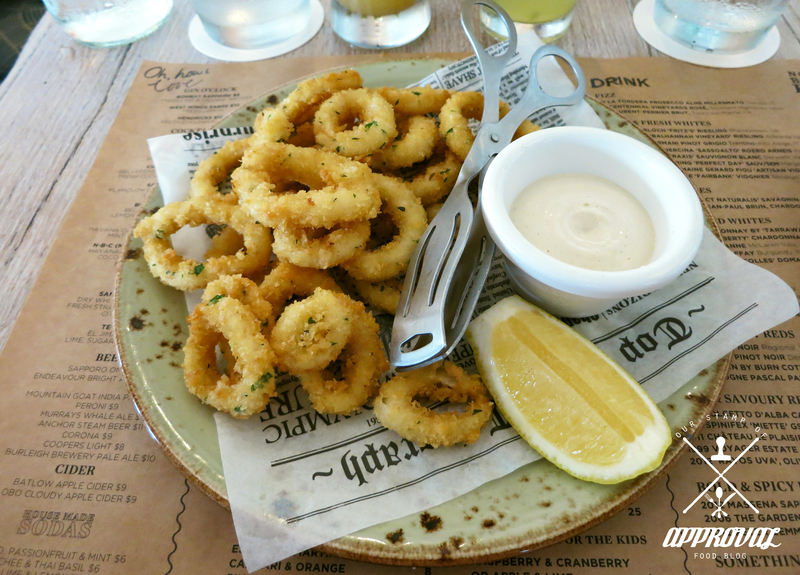 Their dishes are light, with fresh flavours and I think that’s what makes it perfect for their location. Staff are friendly, although I did see some slight service differences with our waitress when it came to serving different customers. However, it isn’t really a big deal. 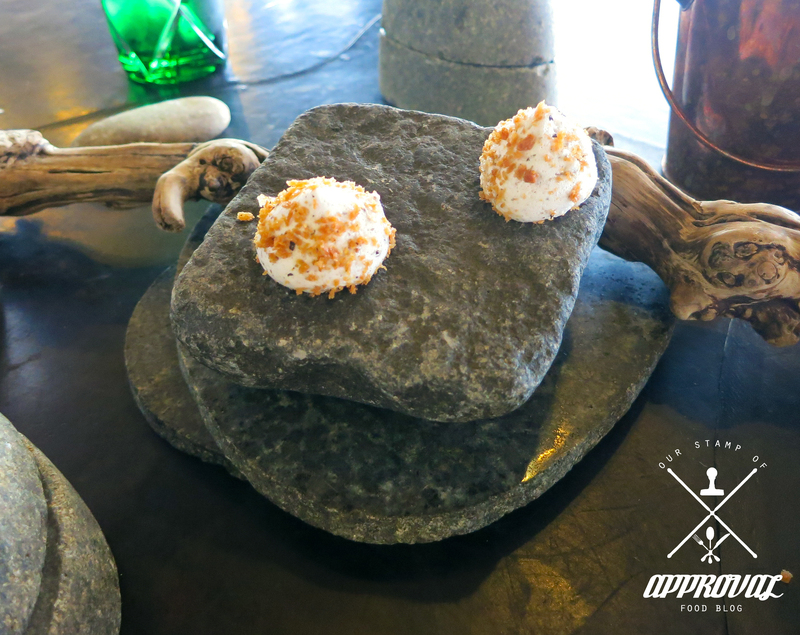 Food is great, and you get an amazing view of the beach as well! 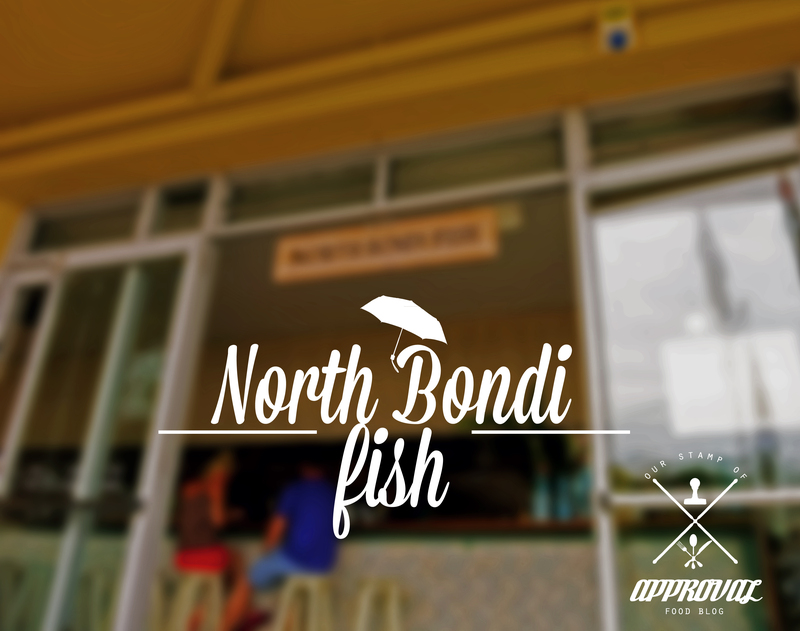 Jimmy: North Bondi Fish is a great place to have lunch or even a few drinks as the sun goes down and you’re at the beach. At a perfect location you can literally walk from the main side of Bondi to the other side to get to this little chic spot. 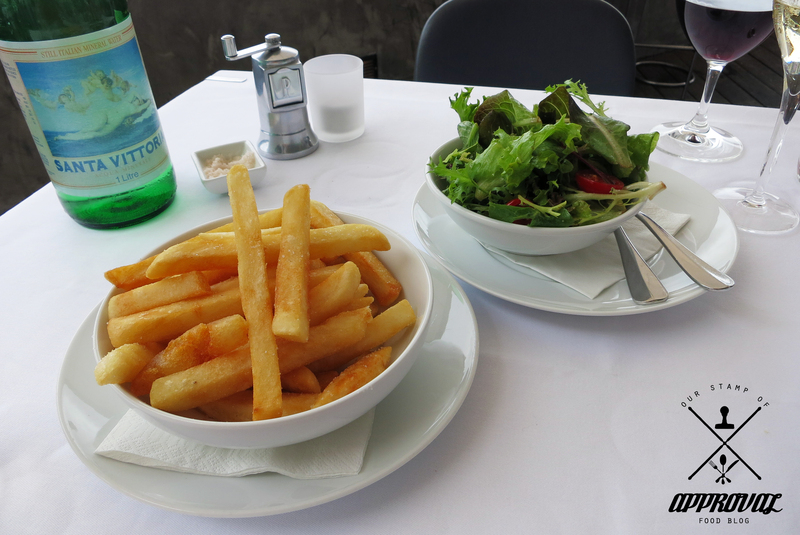 Service is standard and food offers variety. It should be an option to look at next time you’re at the beach, it does get a little packed at times so it’s safer to make a booking in advanced. 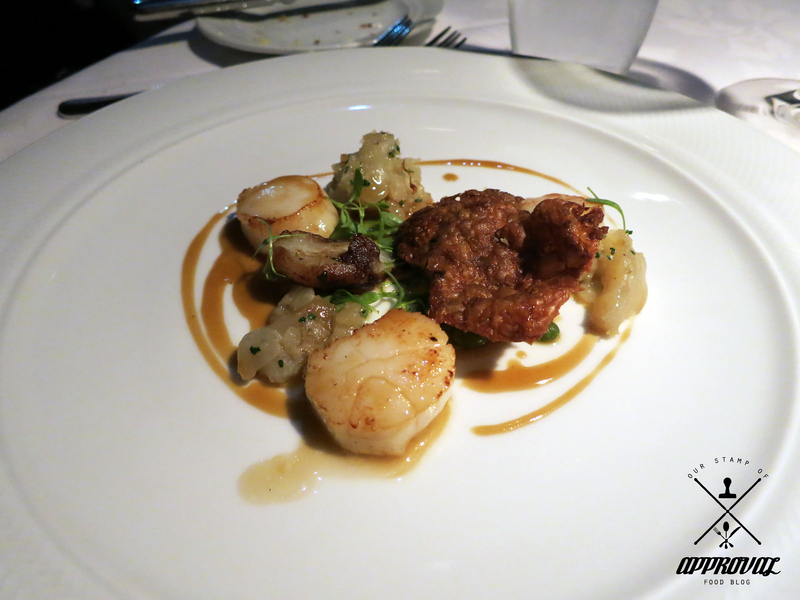 Jessica: All I can say is that this is by far the best fine dining restaurant I have been to. It’s hard to describe my experience, as I can’t seem to find the words to describe it! I had my clutch on the table, then a couple of minutes later a waiter brought me a stool so that my personal belongings had a seat too! The service is amazing from the moment you are greeted on ground floor. Once we reached the higher levels, the lift opened and there was someone waiting there to guide us to our table. When we reached our seats the table had some random pebbles on it.. as the night progressed we slowly found out what each pebble was for. 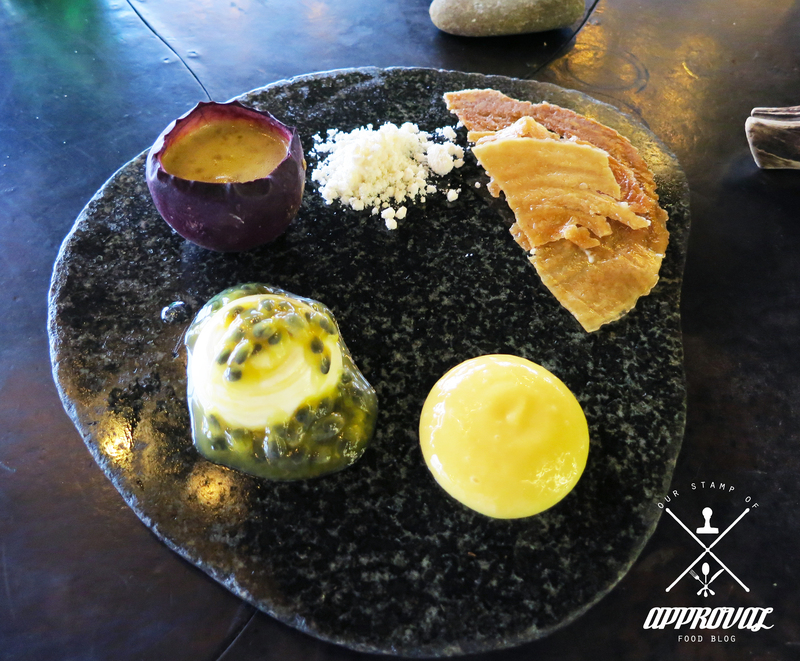 I don’t want to reveal too much about this experience.. it is unique and I don’t think another restaurant can ever replicate this. It is something where you just have to experience it to understand where I am coming from. I guarantee you will not be disappointed, this is a restaurant that NEEDS to be on your bucket list!!!!!! Ps. book in advance! Jimmy: Me personally, I had very high expectations for this restaurant considering the price and great reviews that I have read about. 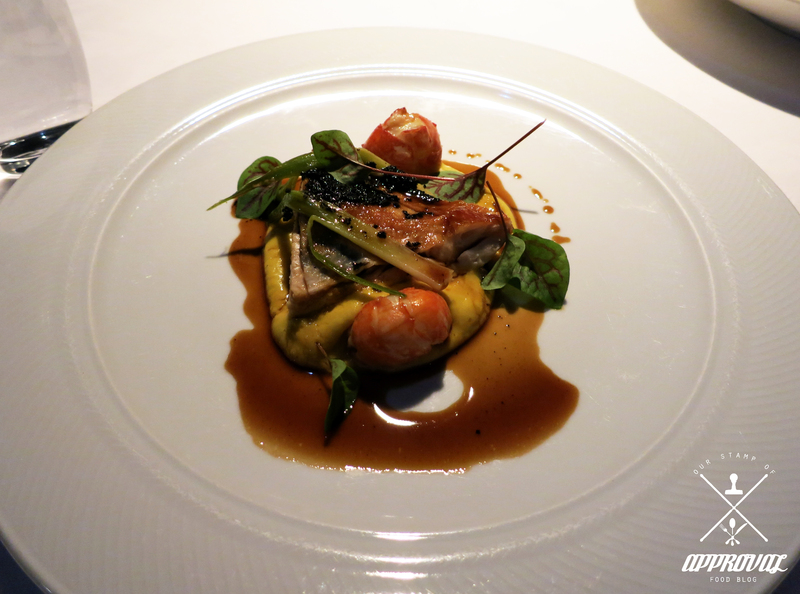 There aren’t many restaurants that I can really say impressed me from the start, middle and end, however Vue de Monde is truly a wonderful experience. 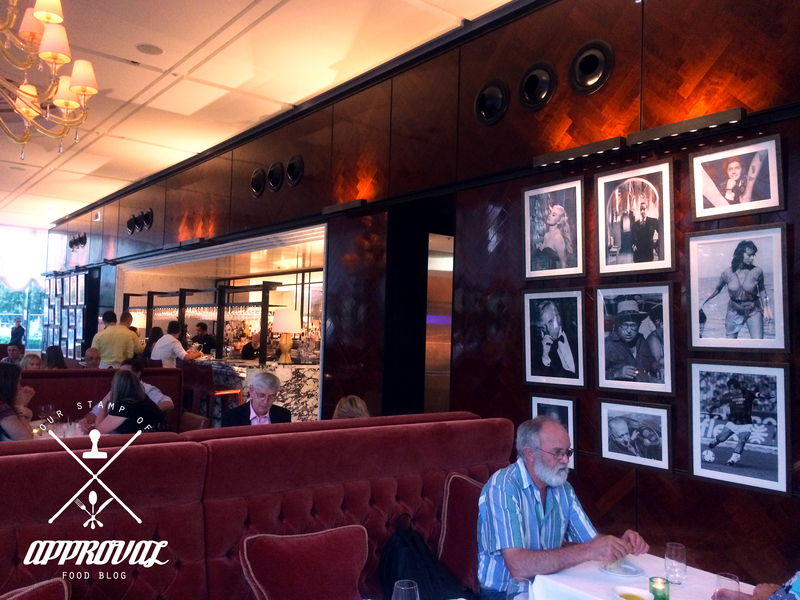 Their fine attention to detail in their presentation, food and even their decor and furniture offer the diner a memorable evening. 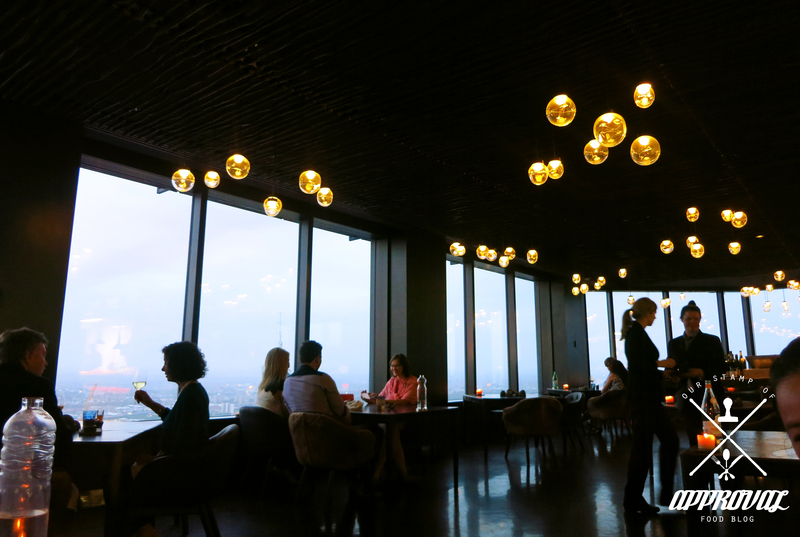 Our experience at Vue de Monde was second to none. 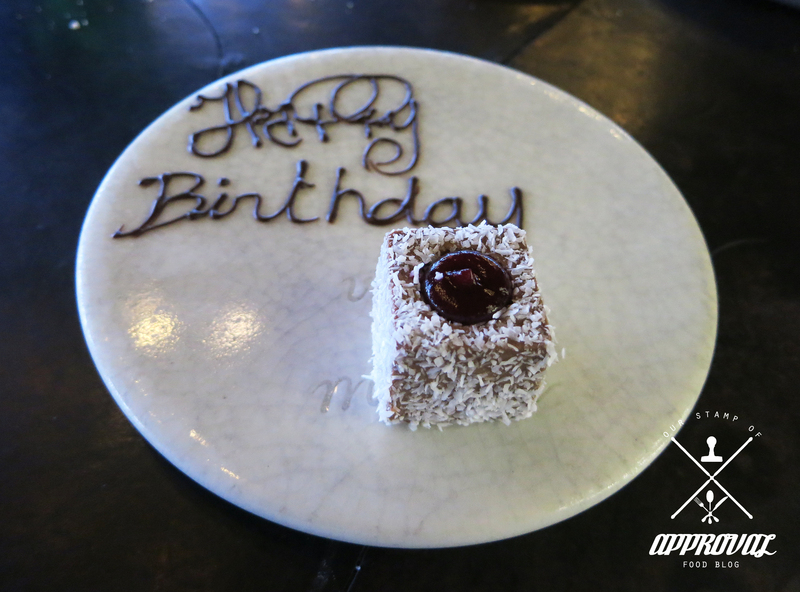 The dishes were fun and enjoyable and the service was at the most professional and skilled. This place is up there with the best places I have eaten at so far and will most likely stay there for some time. A unique and fun experience that truly offers so much more than expected. Jessica: I had booked this restaurant to celebrate Jimmy’s 21st, and honestly this restaurant couldn’t have been more perfect. The service was great, staff were professional and friendly. The music was perfect (for Jimmy’s taste), they played his favourite music which went well with the atmosphere of the restaurant. Be aware that sunlight can come through to the outdoor seatings quite strong, so be aware of the time you are booking if you wish to be seated outdoors. Overall, this restaurant put up service and food that was a lot better than I had anticipated, highly recommend this restaurant! Jimmy: I was actually meaning to take Jessica to this restaurant the last time we were at Melbourne but I overlooked it. But since we were here and Jessica booked it on a New Years Eve I was really excited to experience it. 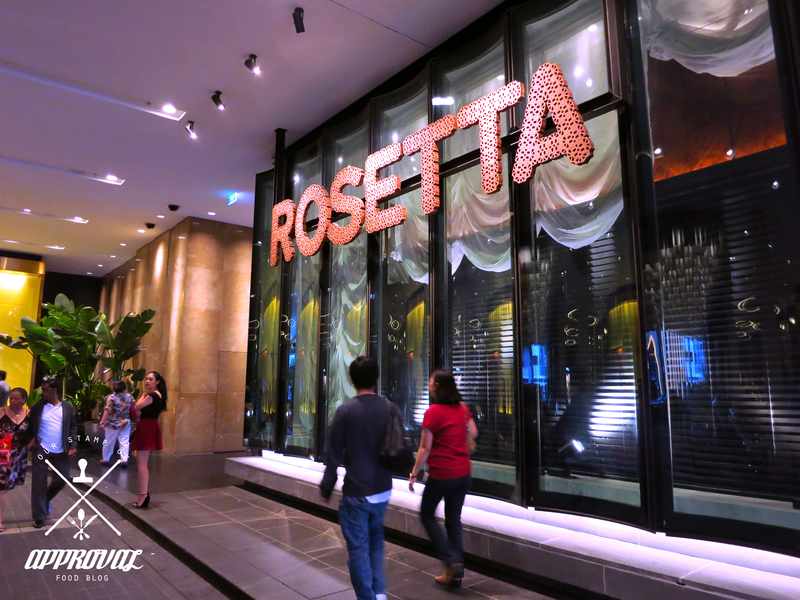 Rosetta is a place that when you look through the windows, you see a space inside that makes you feel like you will be dining at a sophisticated European fine dining restaurant. 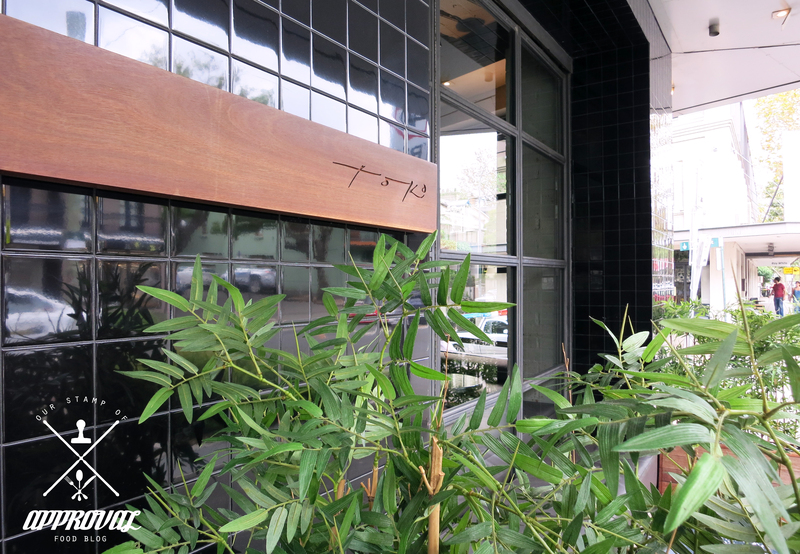 Though we sat outside in the terrace, the design was a little more modern but take nothing away from the beautiful fresh air! The service was friendly but professional from the moment we walked in to the moment we left. Most of the waiters/waitresses spoke Italian so that was something great to hear when you’re dining at an Italian restaurant. 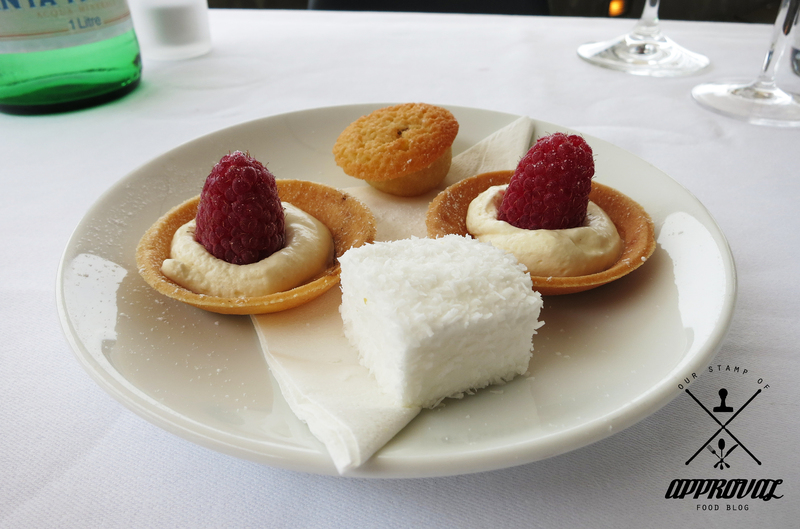 Pavarotti was playing in the background, three really enjoyable meals, especially the dessert and the occasion made the day that much more special. 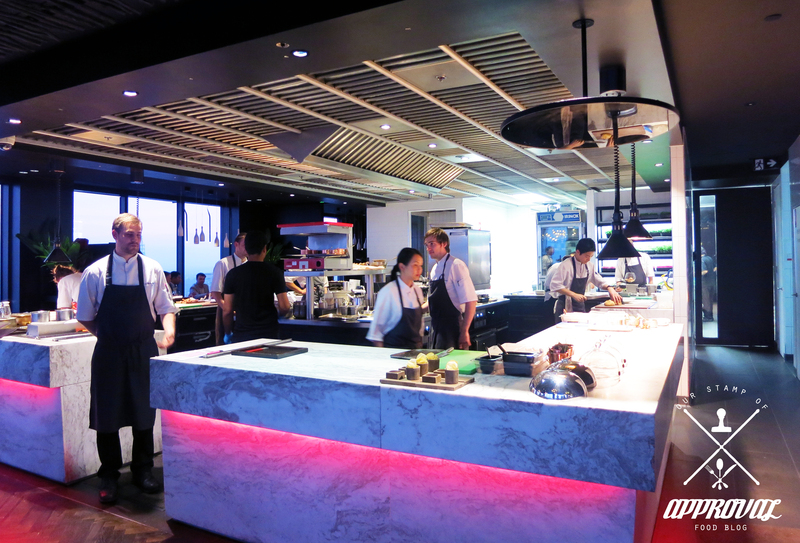 Although the food may be a little pricey, it could be a restaurant you consider when trying to decide on a place to dine while you’re walking along the Crown complex. 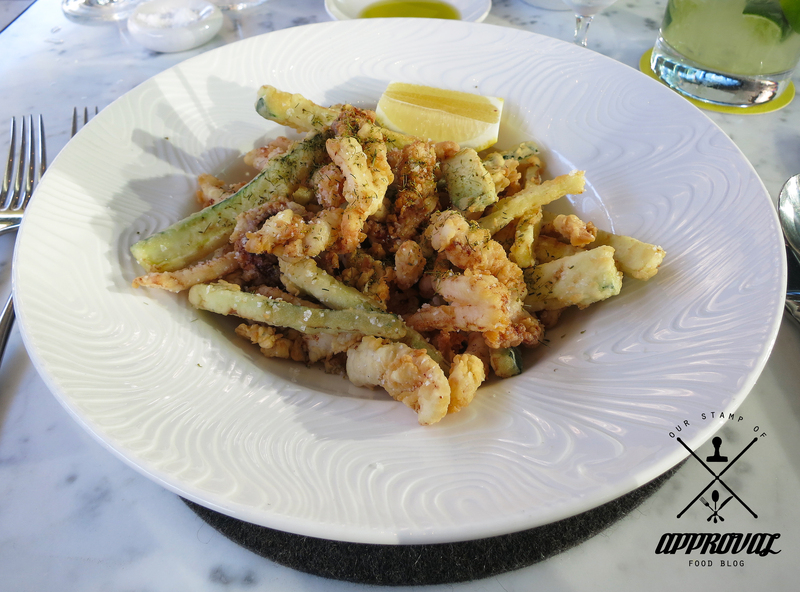 Jessica: I had high hopes from this dish.. the good thing about this dish was that the pasta was cooked well. But the major let down were the meatballs. They were cooked okay, but there was something missing with the flavour wasn’t there. It needed a salty element in it, like more cheese or maybe just some salt. 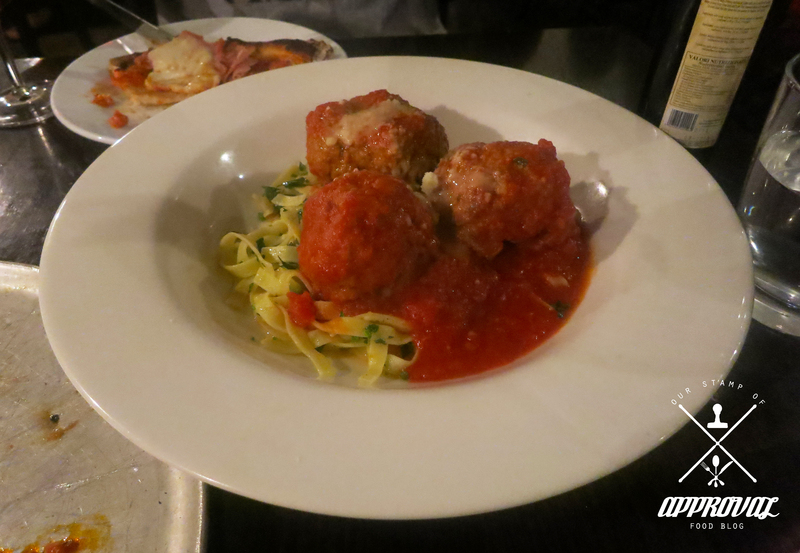 Also, the meatballs were very large which made it a little harder to eat, if they were bite-size pieces then I would have enjoyed it more. 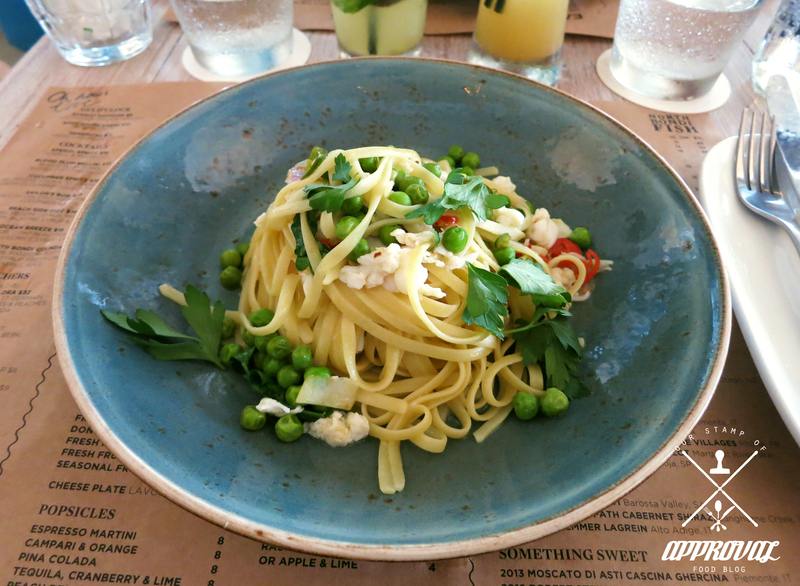 I usually prefer the white creamy based pastas over the tomato based pastas so next time we go I will definitely try a different pasta. 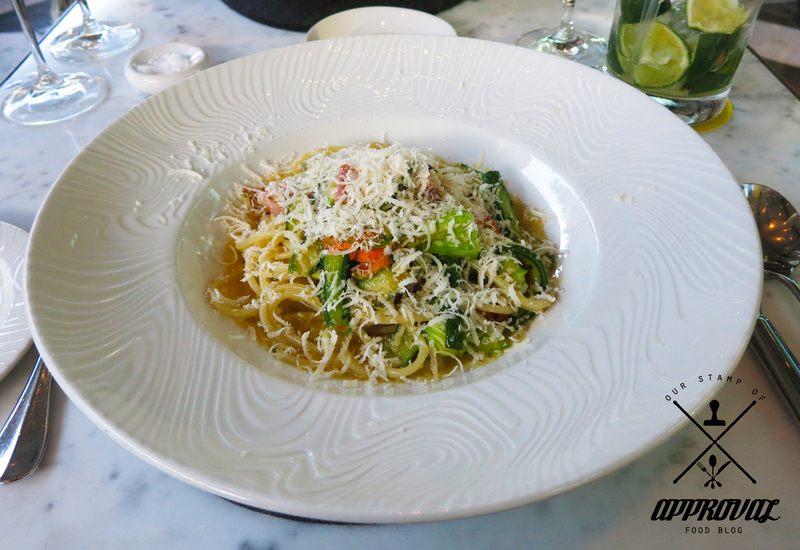 Jimmy: This was the first time I had tagliatelle and wow, the quality was beautiful. Similar to fettucine the silky ribbons of the tagliatelle for me were very overpowered by the size and lack of flavour of the meatballs. 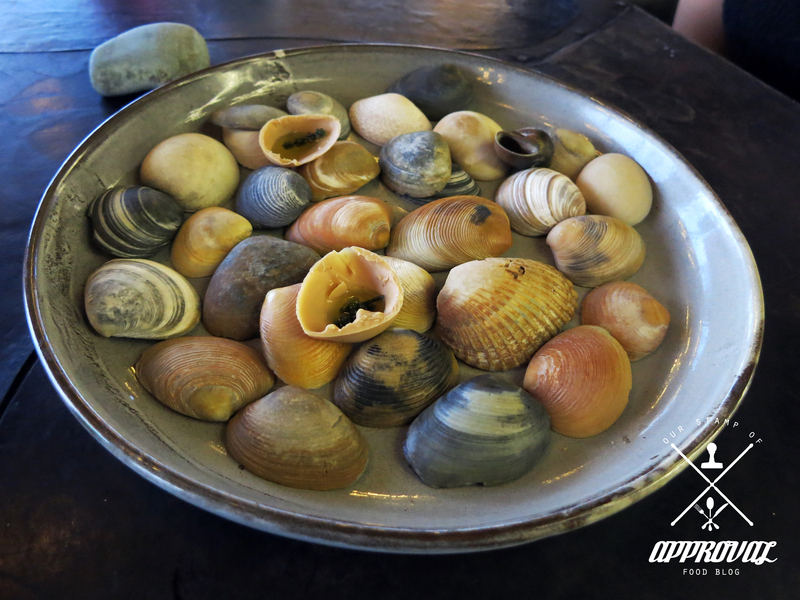 The meal was decent and is ideal for sharing with a few other dishes. Jessica: It is not amazing, but it is definitely not a disappointment! The spicy chorizo added a kick to the pizza that was needed, without it the pizza would have just been average. I was expecting a thicker dough to the pizza but to my surprise it was pretty thin. Which is a good thing because you get to taste all the flavours on the pizza better! I thoroughly enjoyed this, and I cannot wait to try their other pizzas. 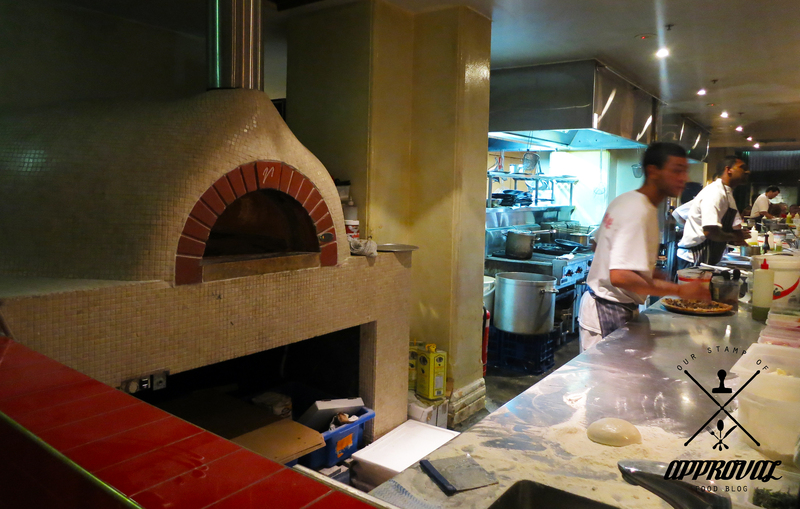 Jimmy: Who doesn’t love a pizza cooked straight out of a traditional wood-fire oven! The flavours were all in the meat. 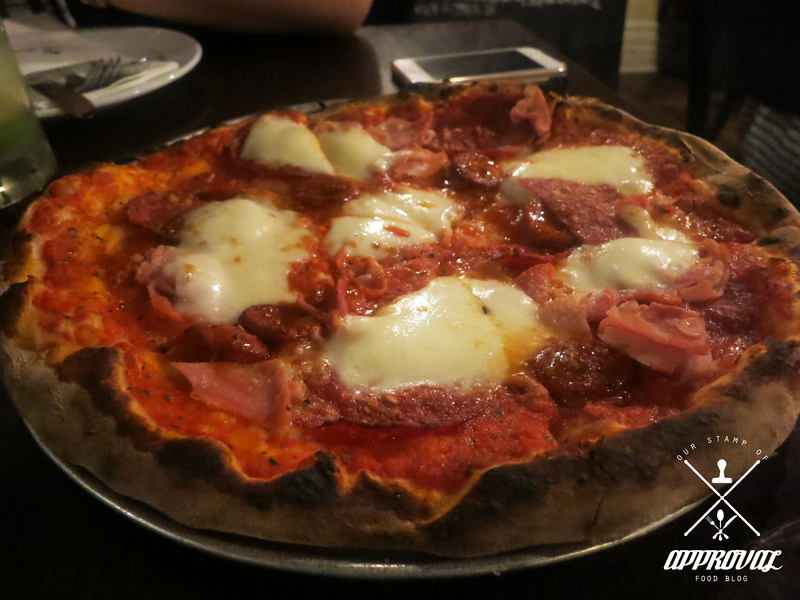 For those that cannot handle spicy food, don’t be put off by the “spicy chorizo” as this was not overly spicy but enough to give a little punch to the overall pizza. The slices are large and had no complaints, worth $22 in my opinion. 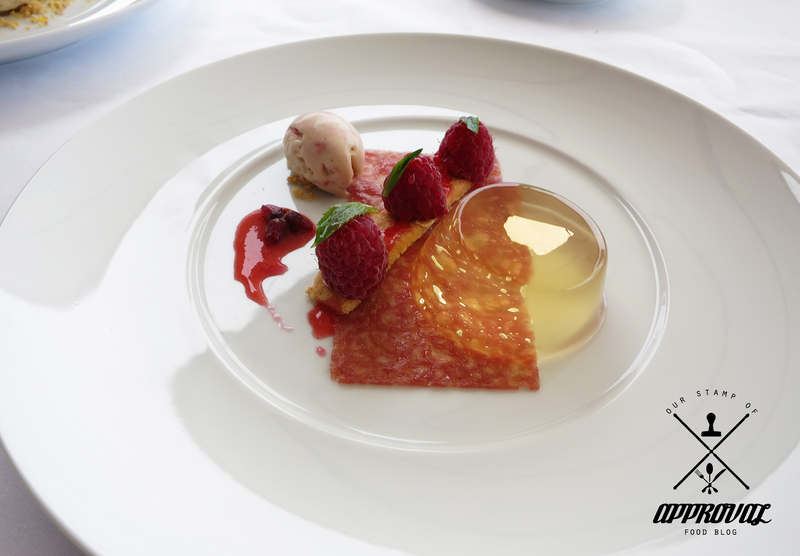 Jessica: This dessert was better than expected. The cake was moist and didn’t crumble on me at all. The caramelised oranges were nice and sweet! The weird thing about the cake was that the top layer tasted really bitter.. the caramel sauce and the sweet whipped cream was essential to tone it down. 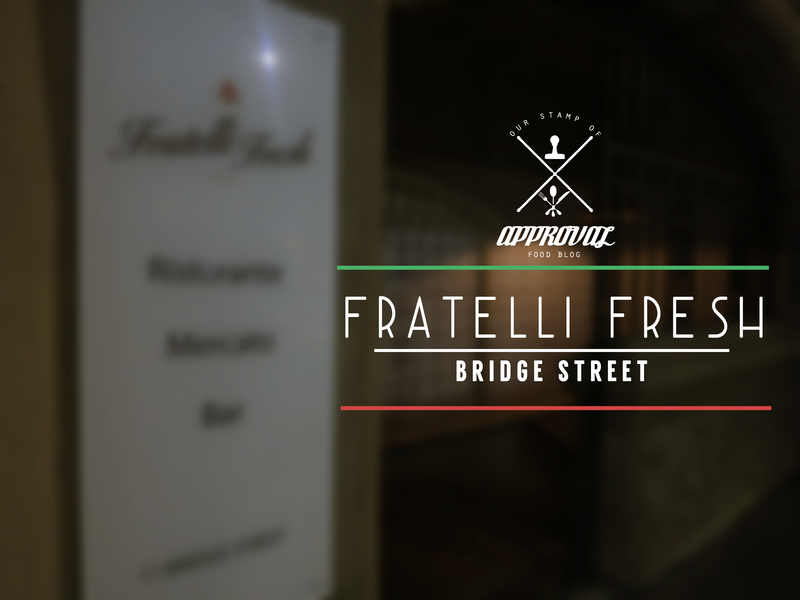 Jimmy: Fratelli Fresh offers a mouthwatering and hard to choose dessert/dolce menu. 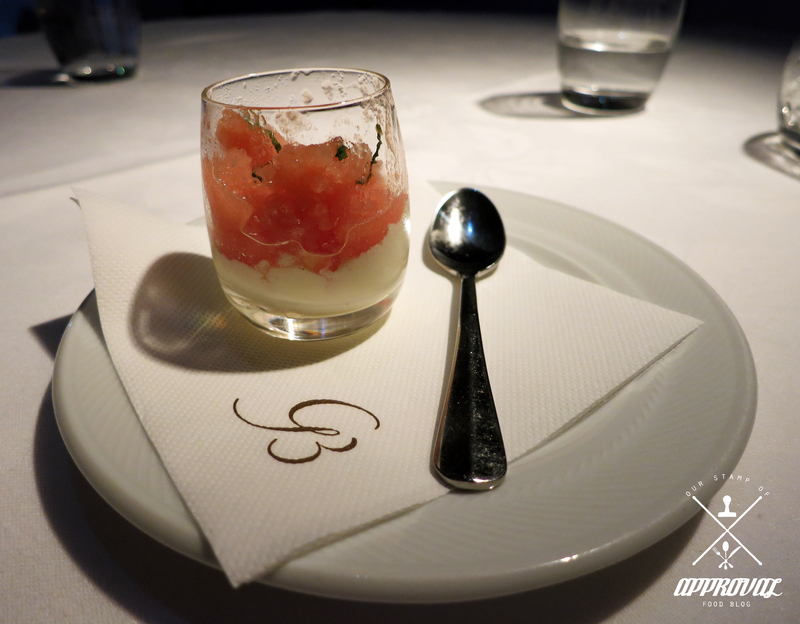 What drew me to choosing this dish was champagne jelly and how it would go with the pannacotta and poached peach. 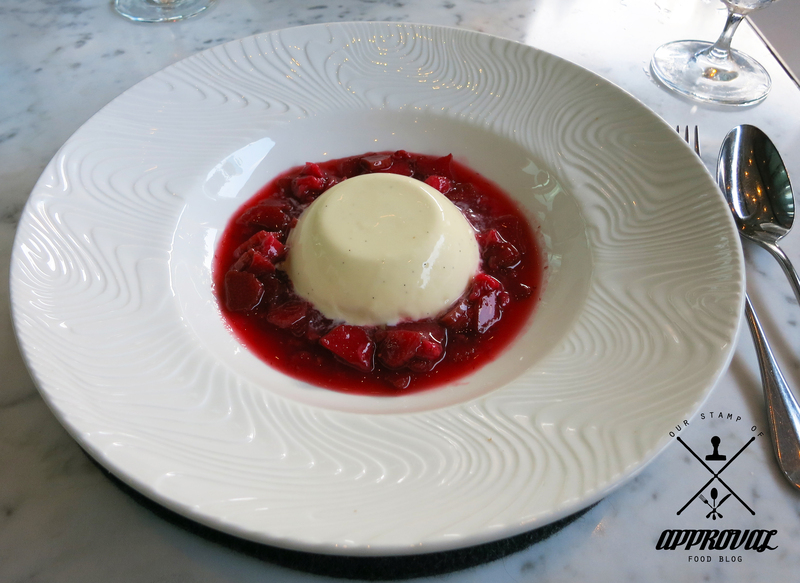 For me, this would be excellent if the pannacotta was halved in portion. I know it may seem crazy, though the flavour in combination was great whilst the champagne jelly, poached peach and biscotti lasted. 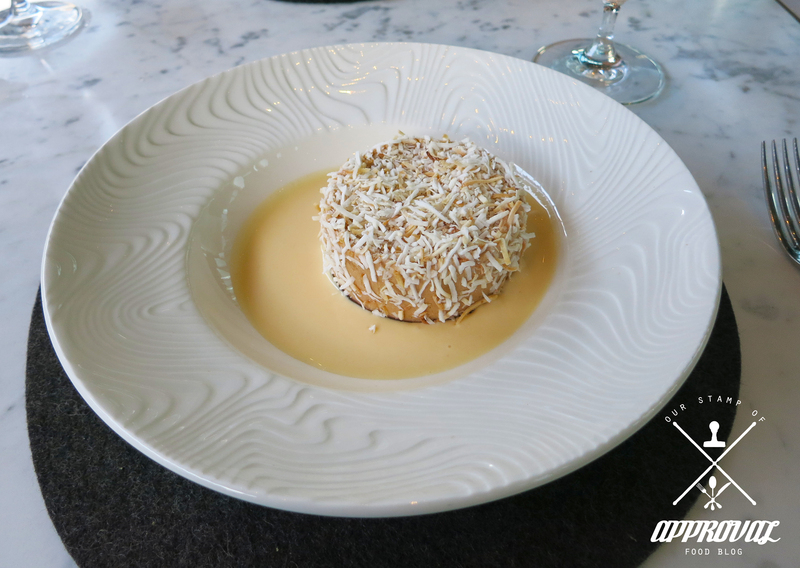 The pannacotta on it’s own was not bad, I guess my taste buds needed something with it. 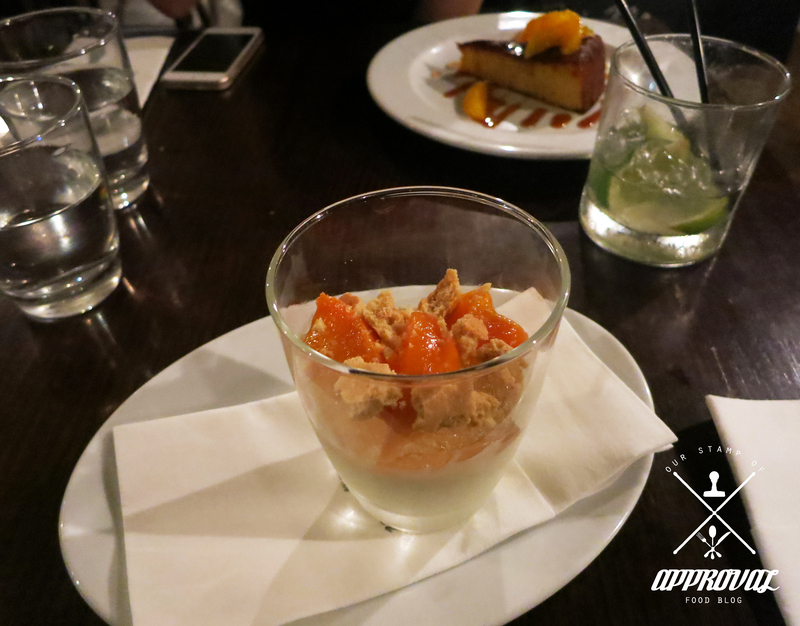 The champagne jelly was nice as well as the poached peaches! 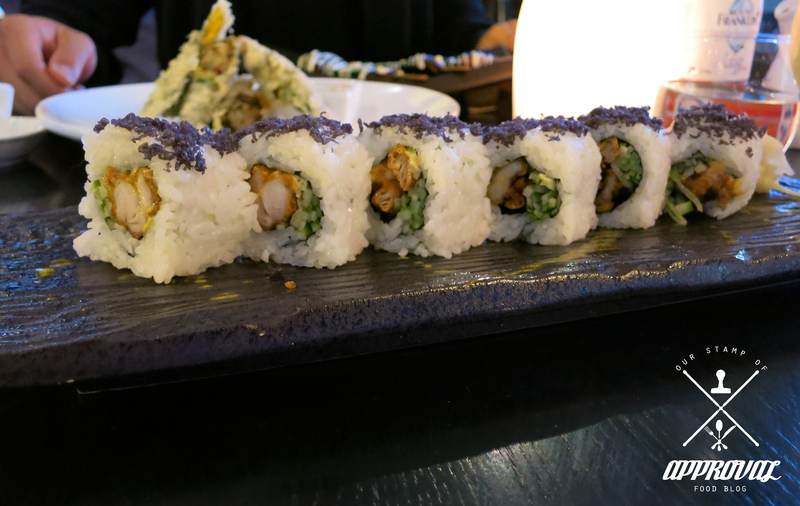 Overall, it was an enjoyable experience and we would go back again for a second round, but with different dishes of course! 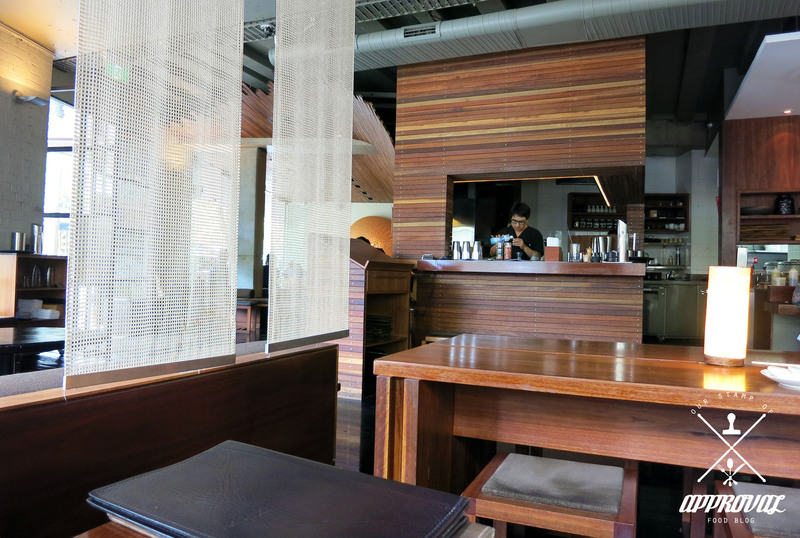 If you are looking for the Wynyard restaurant, it is on Bridge St and is across the street from the Exchange Centre (next to Rockpool Bar and Grill). Google map tells you that it is next to the Exchange Centre but it is wrong! It took us quite a while to realize Google maps was wrong and it was in fact across the street. 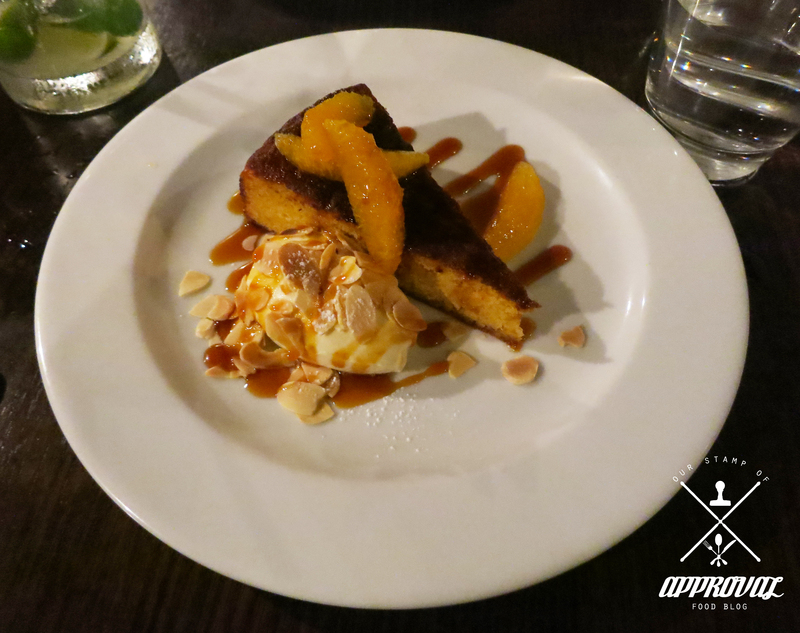 A great restaurant with friends or family, the atmosphere and service was upbeat and would recommend to those wanting to dine at an Italian restaurant. 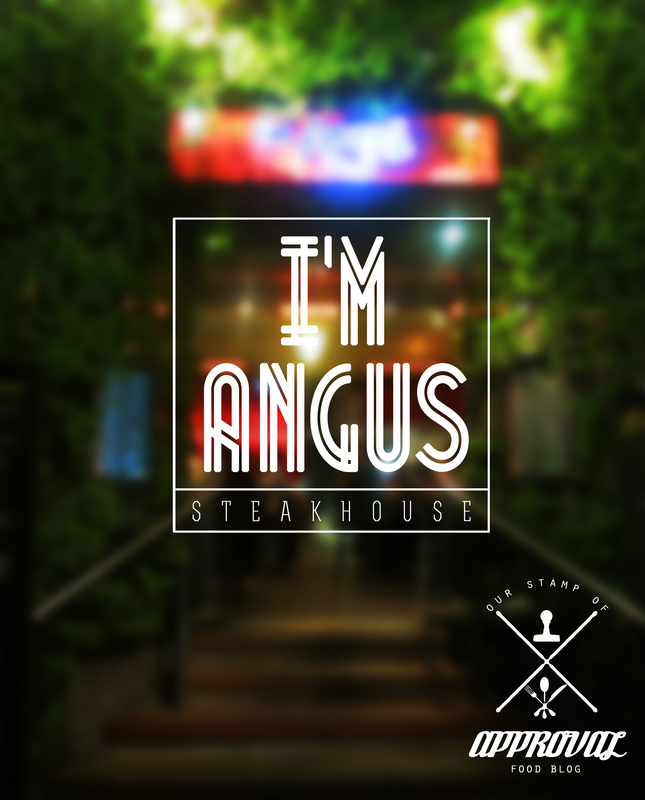 I’m Angus is situated along the beautiful dining strip of The Promenade Cockle Bay Wharf. It is one of six restaurants owned by Nick’s Restaurant and Bar Group. 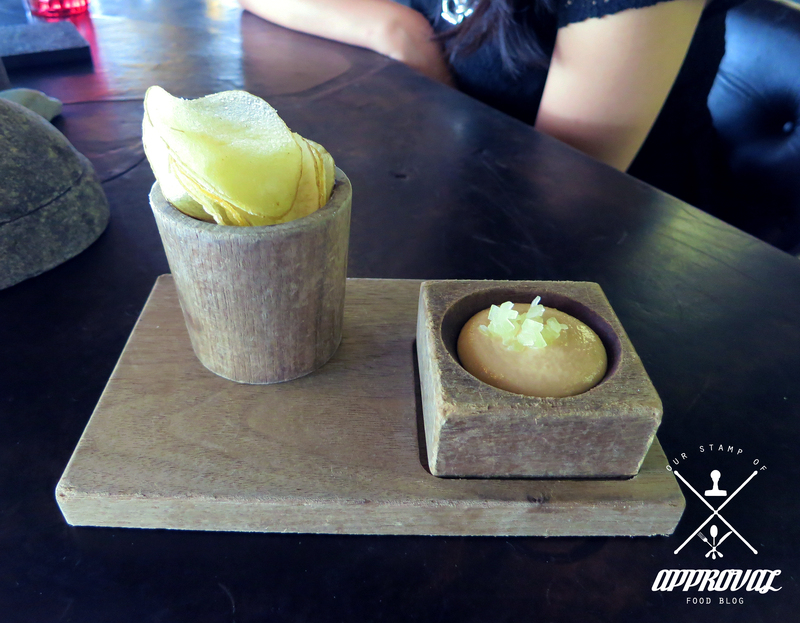 One of the six that we have dined at as of yet, and have decided to give a brief review of our second visit. 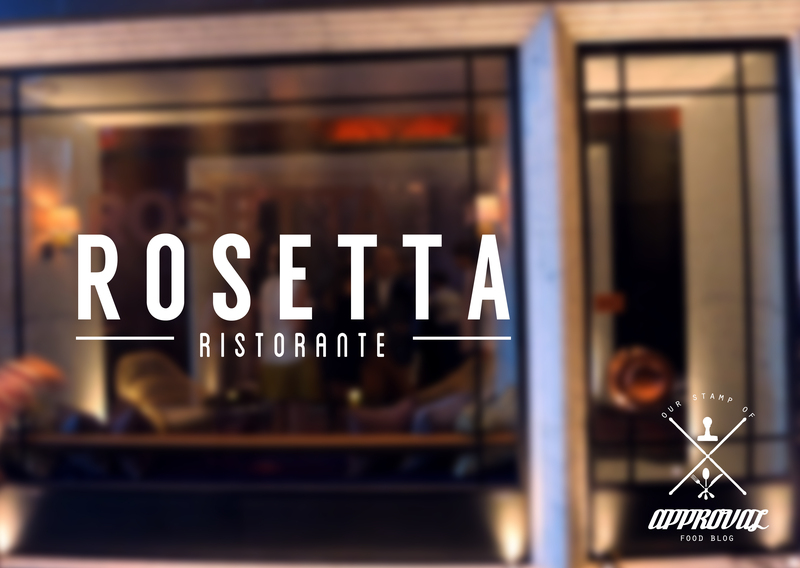 A steakhouse that offers a little for everybody, with an extensive wine list and a variety of cuts cooked to your liking. 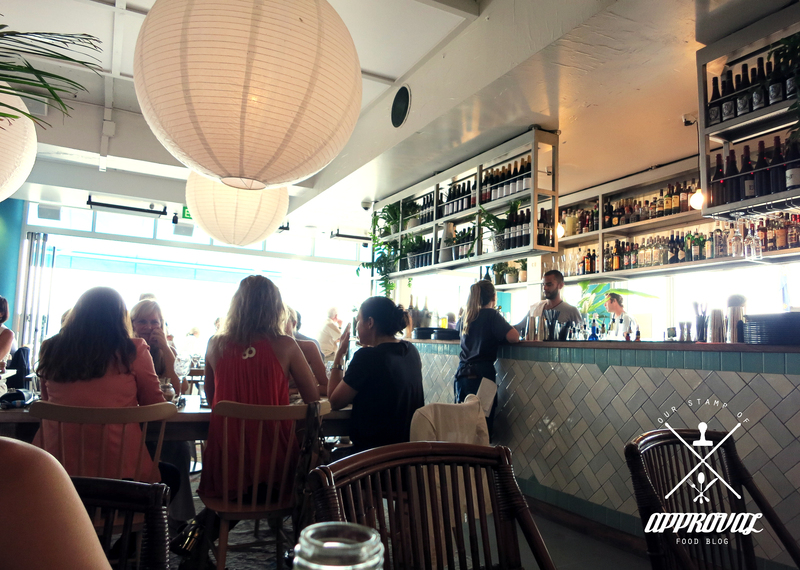 With a waterfront view for seating “outside” and a warm atmospheric feel for diners sitting “inside”, I’m Angus was our go to place on a lazy Thursday evening. 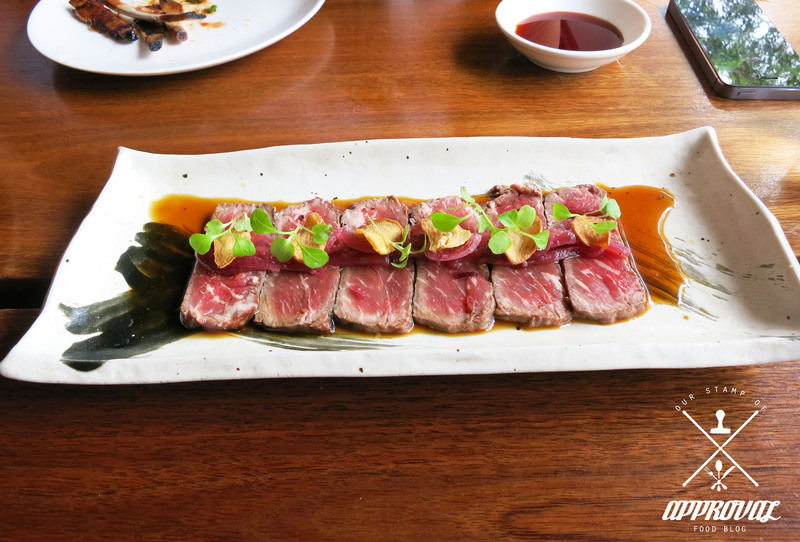 Our visit to I’m Angus was a spontaneous decision and the visit was not for any particular occasion, though we were not entirely hungry, we felt it was a nice place to sit and enjoy a quick meal. This was our second dining experience at I’m Angus Steakhouse. Jessica: I know this is a steakhouse, but I can’t go passed my chicken breast! 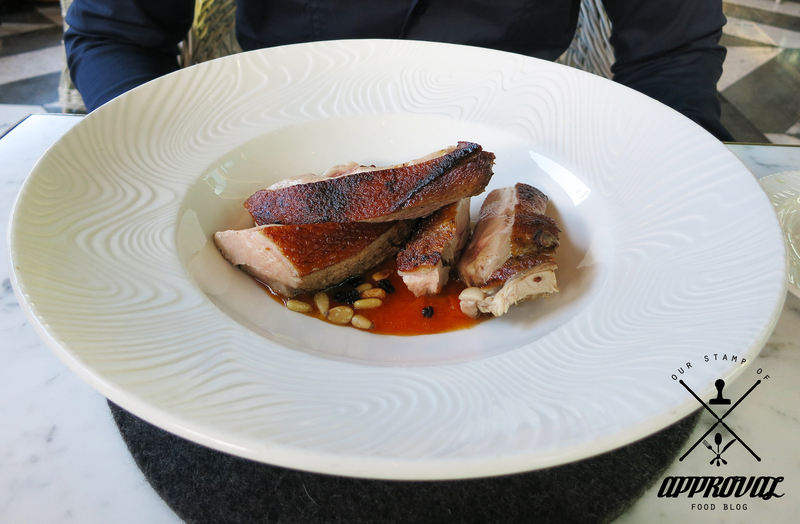 I had this dish when we came here for the first time and to be honest the flavour on the chicken was lacking, as from memory there was definitely some thyme flavours the first time round. The chicken was just a touch dry, but the olive oil helped moisten it up. 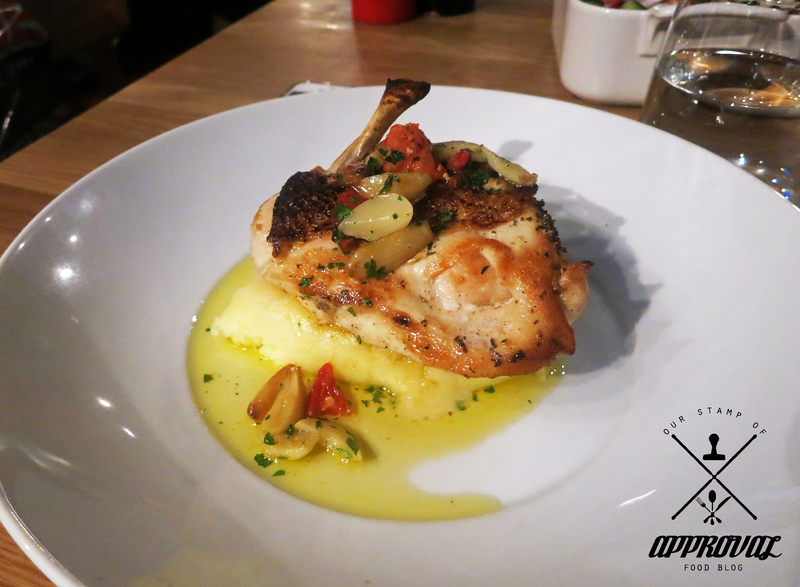 The flavours worked well together, the onions made the dish sweet and balanced out the savoury flavour on the chicken. The best part of this dish are the tomatoes!! 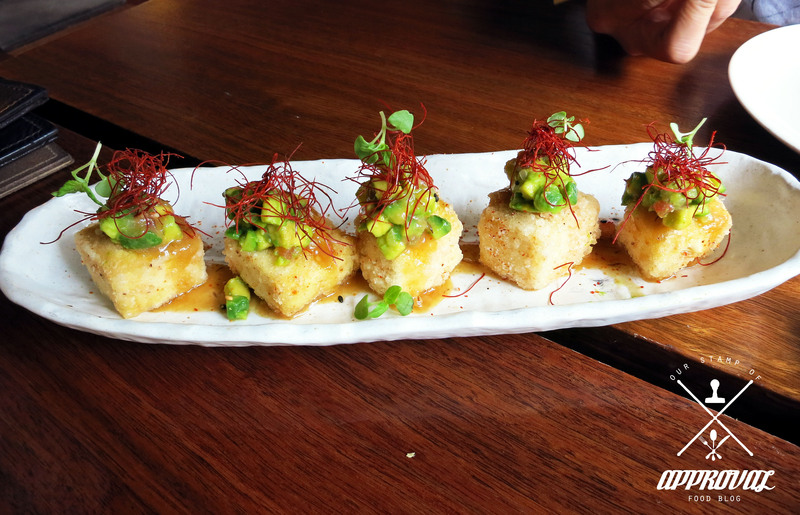 They have been soaked in some sort of magical liquid, tastes nice and tangy and the herbs that it was marinated in comes out when as you take a bite. I found myself taking small chunks of tomatoes with each piece of chicken I was eating. They need to put more of those marinated tomatoes on the plate! Just a note to keep in mind, the chicken takes about 25 minutes to cook! So you may want to order an entree first to pass time. 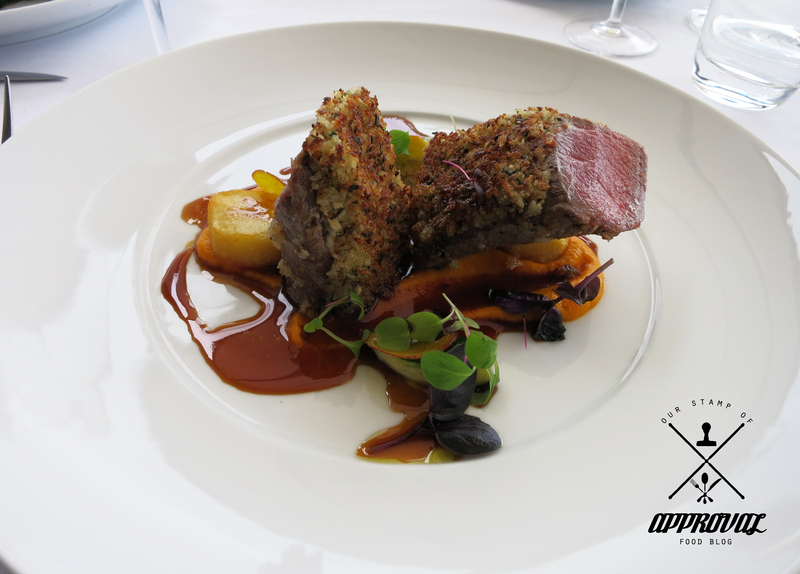 Jimmy: My meal for the evening was the I’m Angus Grainge Tenderloin. 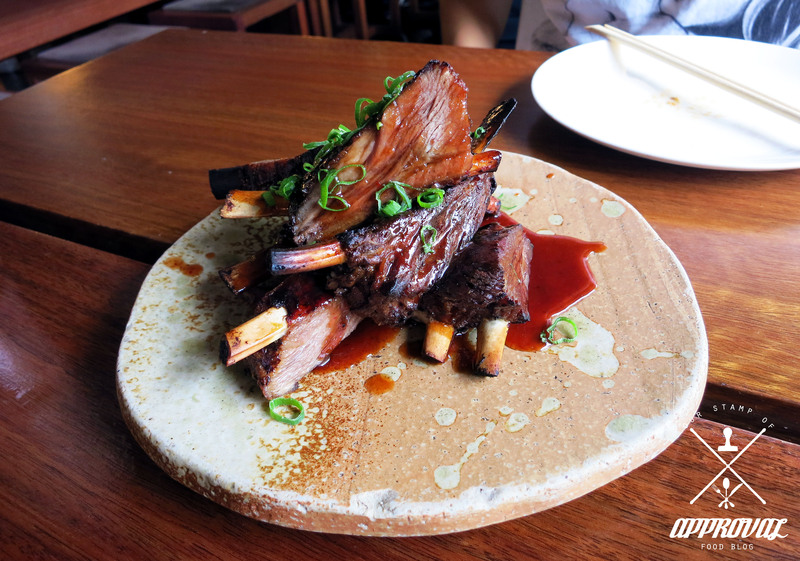 I’m Angus “Grainge” Angus Beef, on their menu states: “From Gippsland Victoria the Grainge brand is exclusive to our meat supplier.” Angus cattle reared on grain for a minimum 150 days. MSA graded 3 with a marble score 1-2.” For those wanting more quality cuts and higher marble scores, I’m Angus also has a ‘Reserve Selection’ on their menu. 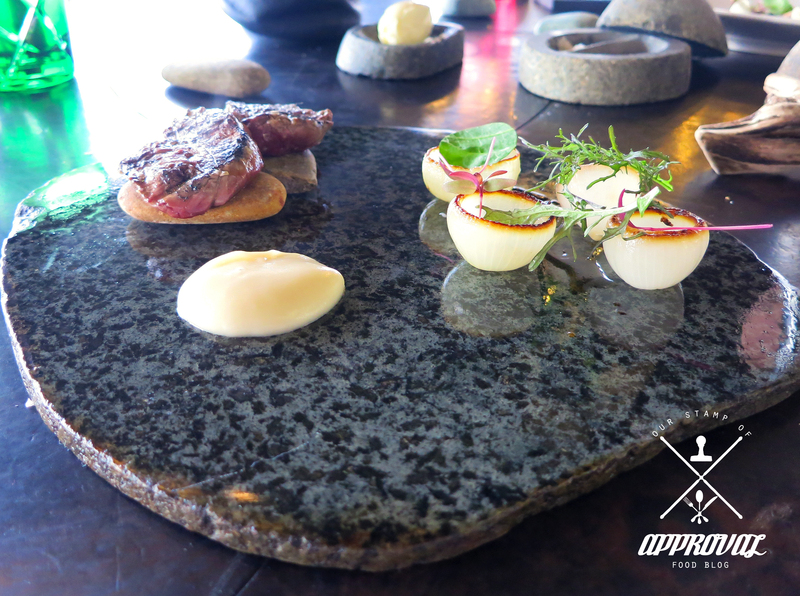 All of their steaks come with mashed potatoes and slow cooked baby onions which are cooked quite well. The mash is creamy and the baby onions are soft and flavorsome. I opted for the 160gm tenderloin though on second thought, I should’ve gone with the 250gm for those with a big appetite like me. 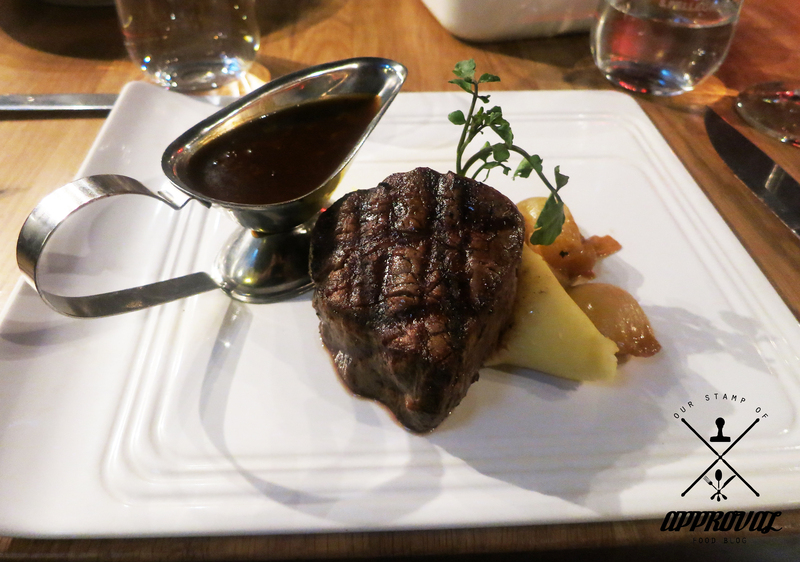 Nevertheless the steak was cooked medium rare like I asked and the mash and baby onions, were enjoyable. Also had my first glass of red with steak combo and it made everything so much better. Though the glass of shiraz wasn’t the best, it accompanied the tenderloin nicely. For those wanting a more versatile meal, try the Trio of Tom-Tom Lamb Cutlets. 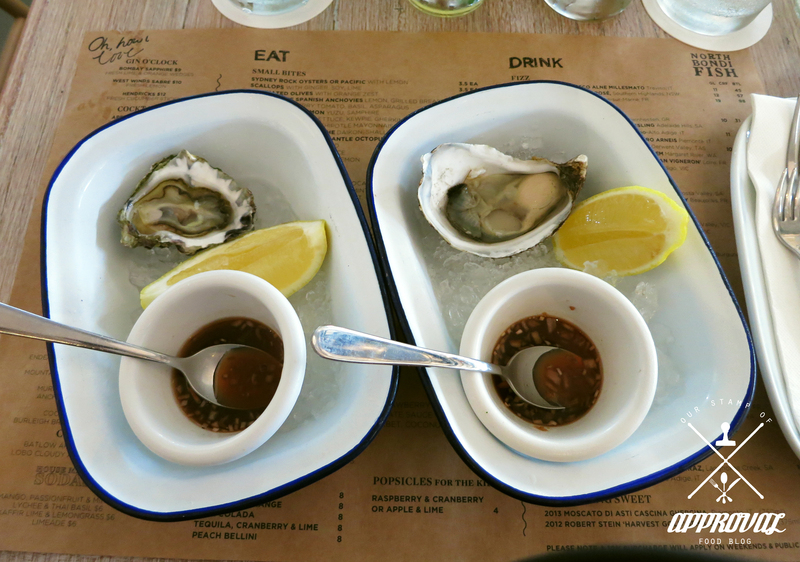 I had those for my first visit to I’m Angus and it was delicious. A little tricky to eat unless going all in with your hands, but the ratatouille was so good. 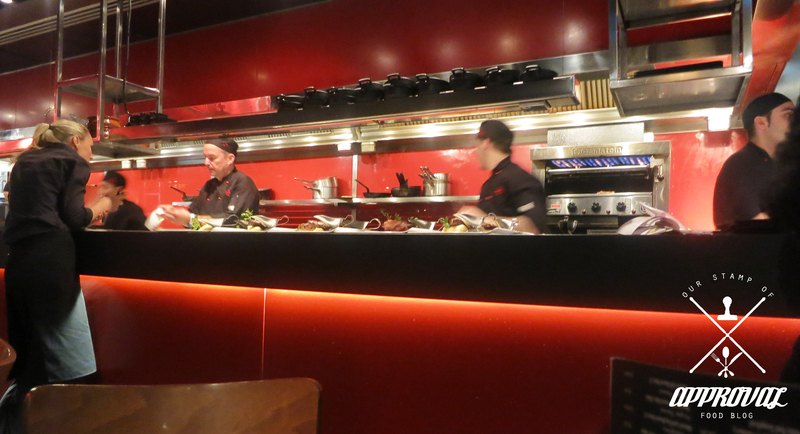 Definitely recommend this restaurant for dining, we sat close to the kitchen so we were able to observe the chefs. They seem to be very hygienic and organised. 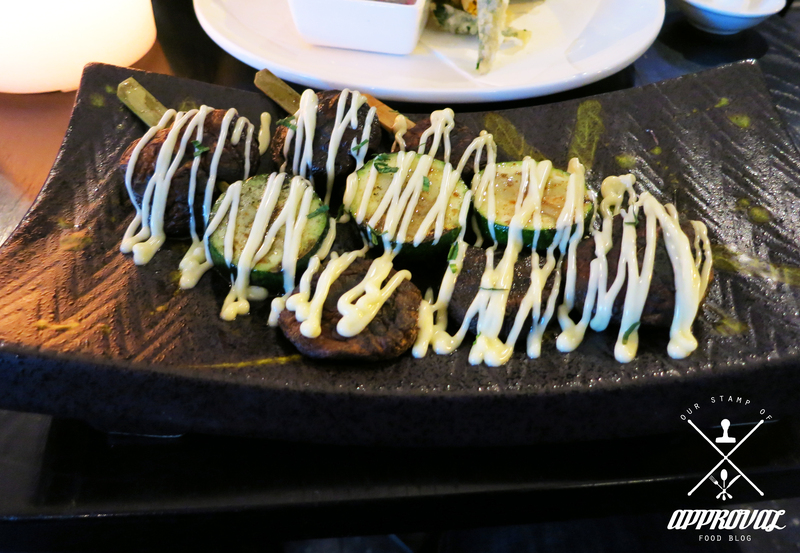 We can’t comment on how their entrees are as we did not try it that night, but we will update you guys once we do go there again. 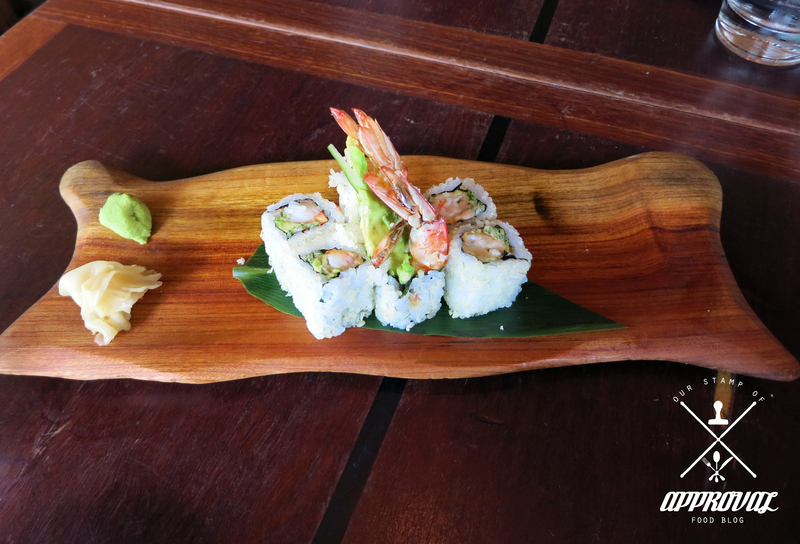 Jessica: A small appetiser to start our taste buds running. 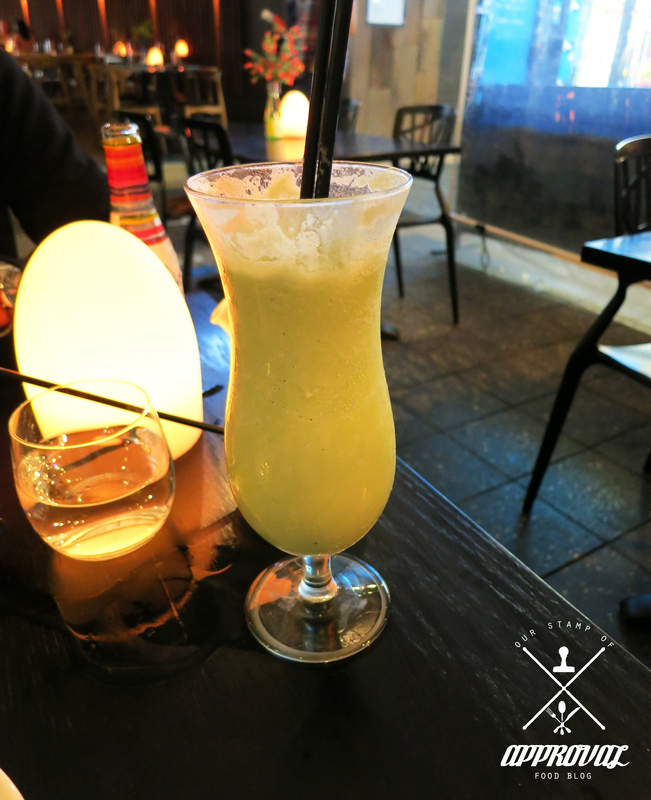 It had a lovely smooth texture which was the perfect way to begin the night. 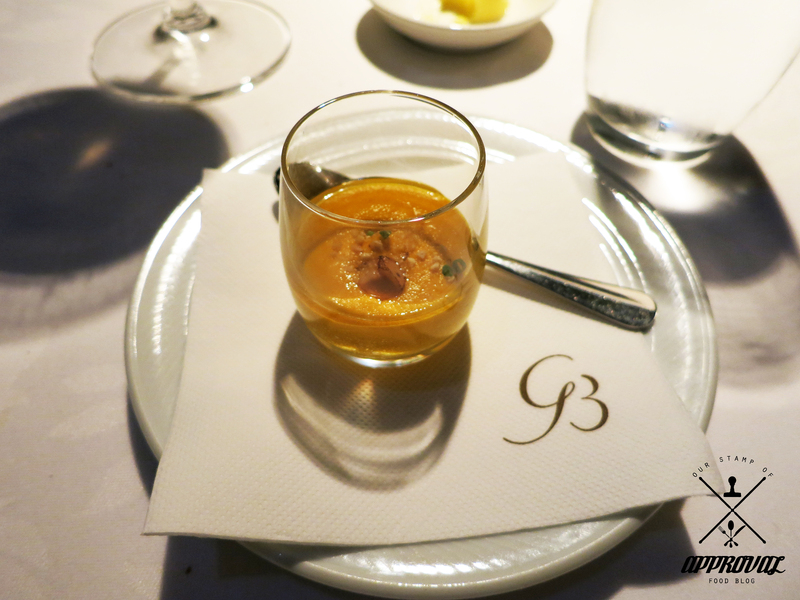 Jimmy: This appetiser I believe was called the Pumpkin Velouté. It was light and creamy as it should be with the foie gras complementing well. 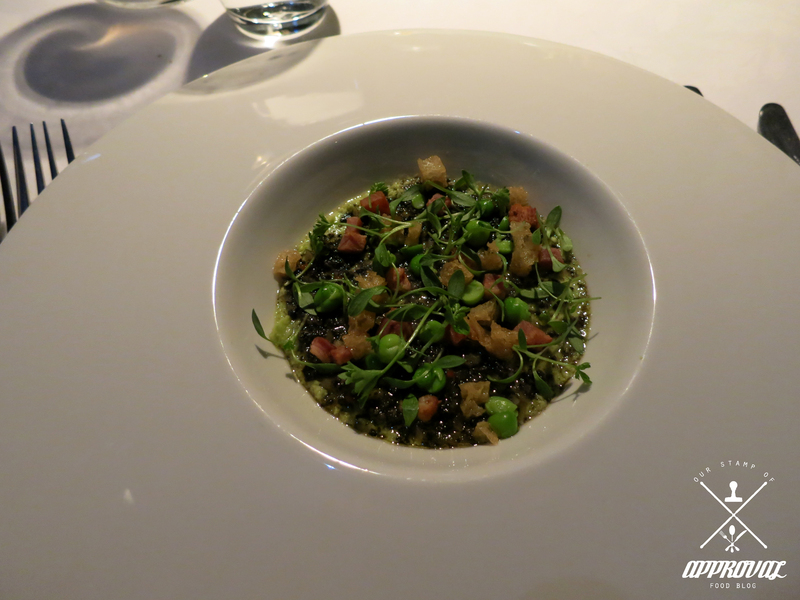 Jessica: Royale was a quite interesting dish, the contrasting texture of the smooth pea puree and the crispy croutons kept me coming back for more. The flavours were quite subtle, I wish it had more of a kick to it because the last spoonfuls got a bit boring. 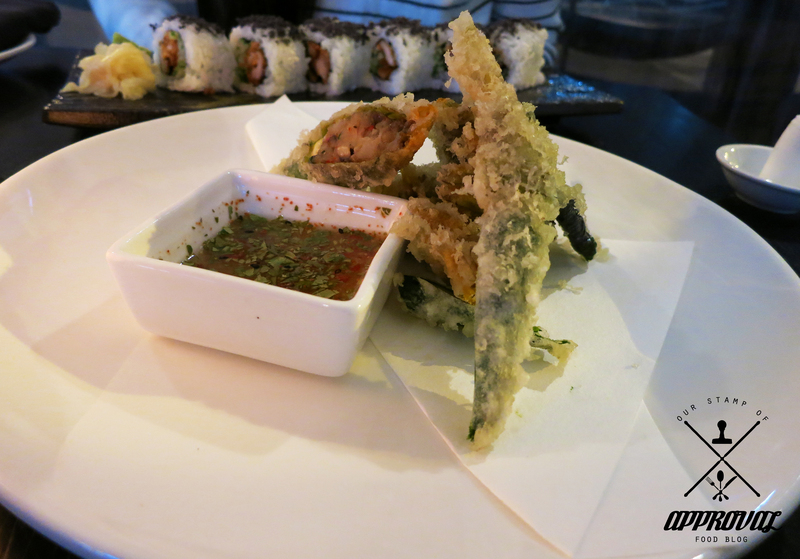 However, it was a good entree to start off with because the flavours weren’t too overpowering. Jimmy: My entree “Spring Vegetables with heirloom carrots, fennel, leek, asparagus and kale.” First off, amazing presentation with the colours bouncing off the black ceramic. 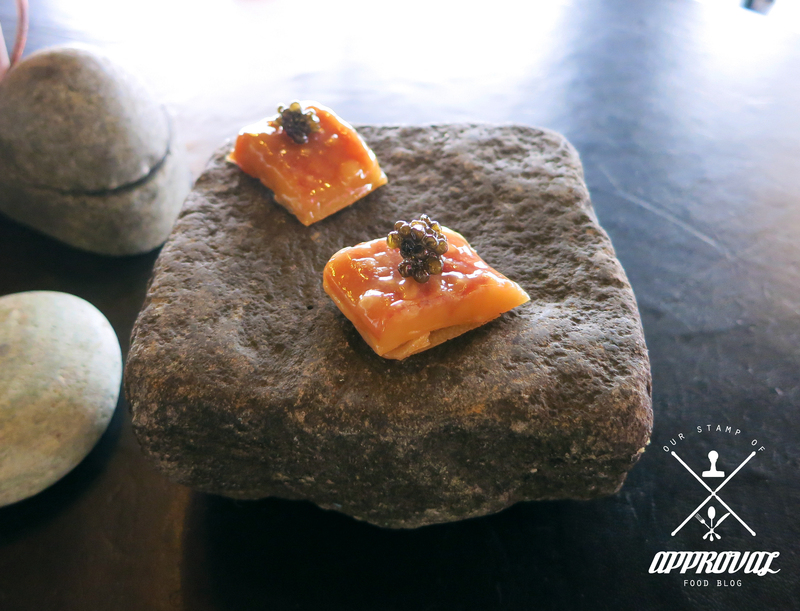 For those who are expecting something out of this world, this entree will disappoint. 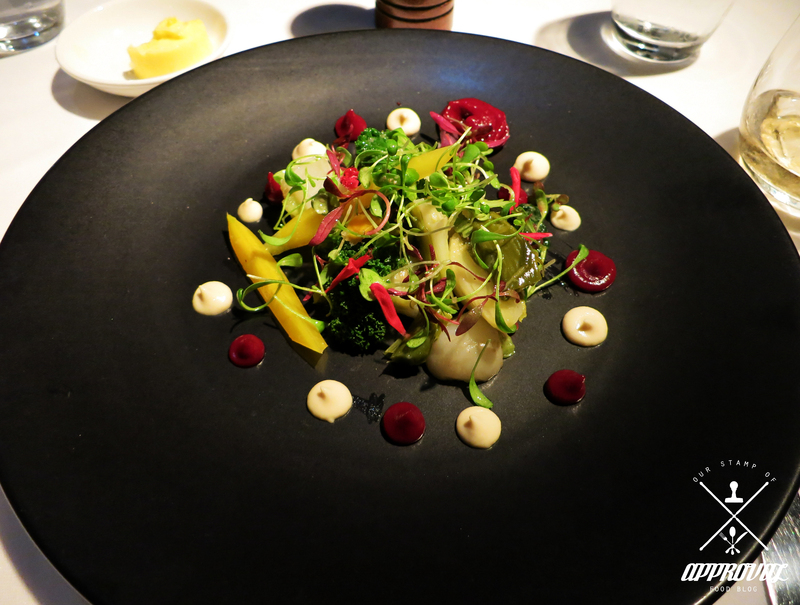 Nevertheless these seasonal vegetables are cooked to perfection. Having never tried kale, it really brought this dish together for me. 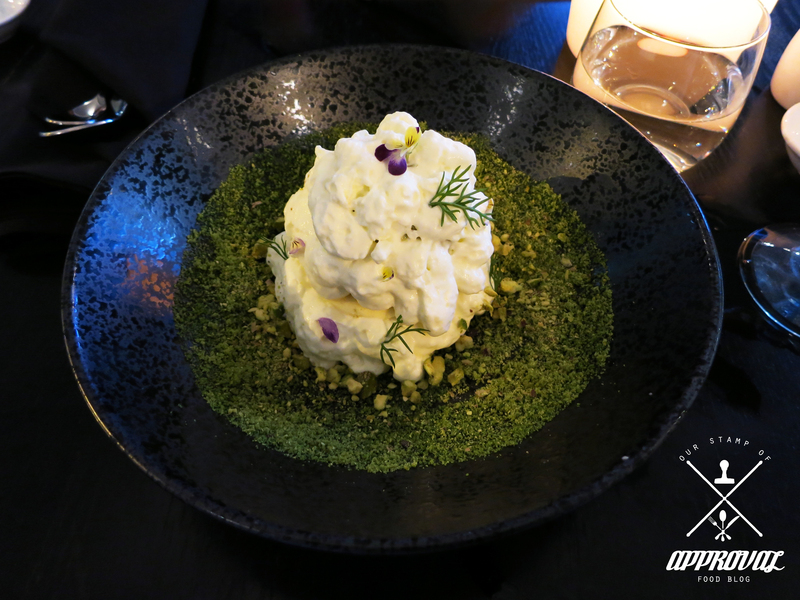 Jessica: This was definitely my dish of the night! 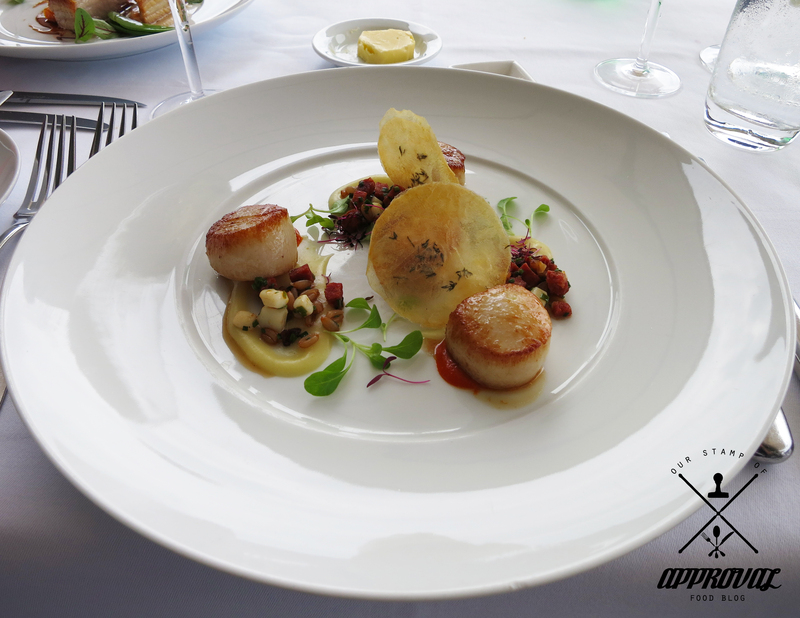 My favourite element on the dish was definitely the scallops, they were cooked to perfection. 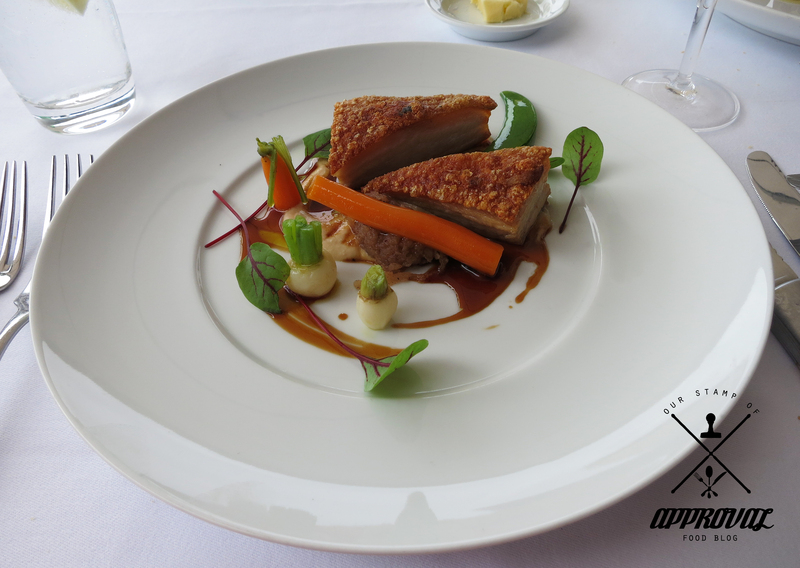 My second favourite was the crispy crackling! It’s so disappointing when you bite into soft crackling, however this one did not disappoint at all. For the lovers of crackling or anything crispy, I highly recommend this dish because the crackling makes it so worthwhile. All the flavours worked well together. 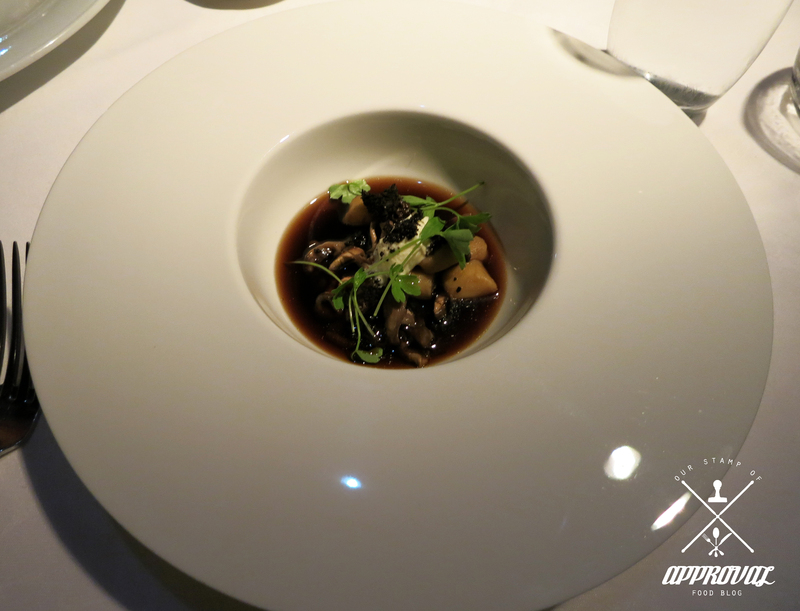 Jimmy: My dish “Mushroom Consomme, Morels, shiitake, oyster, truffle, gnocci.” For lovers of mushroom, you would expect to find a well rounded meal. 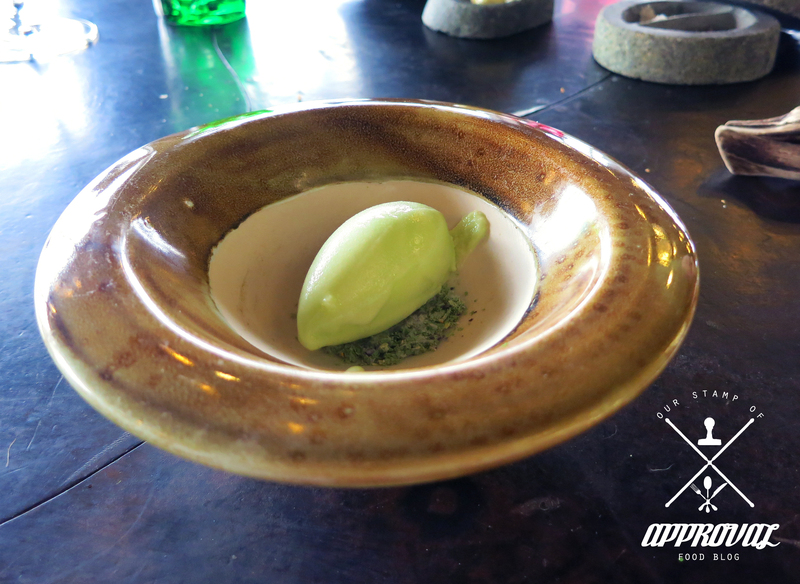 There was no particular punch to the dish and it began to get less interesting with each spoonful. The gnocci was beautiful and soft and the flavours worked well in combination. It was clean and the mushroom added to the consomme. Was just expecting something a little more from this dish. 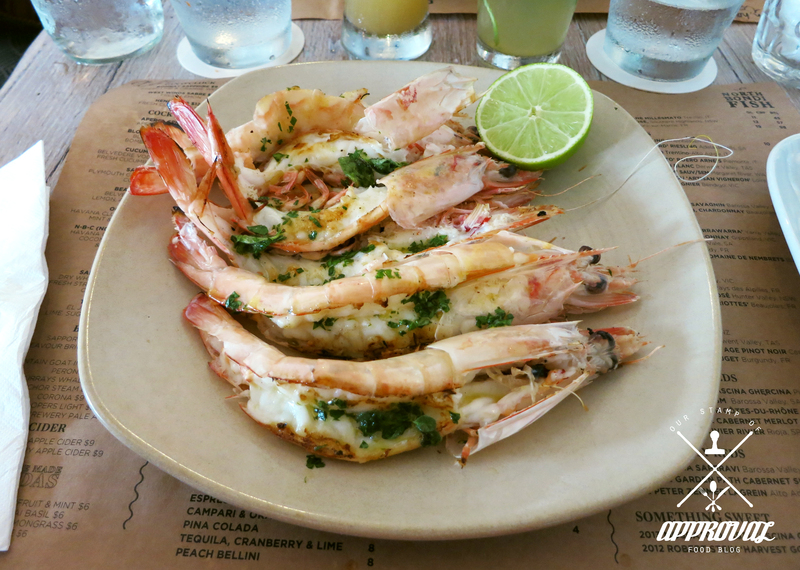 Jessica: The chicken was cooked well, but to my surprise I actually liked the yabbies too (I’m not a big fan of seafood). The corn puree was velvety soft and worked well with the chicken. 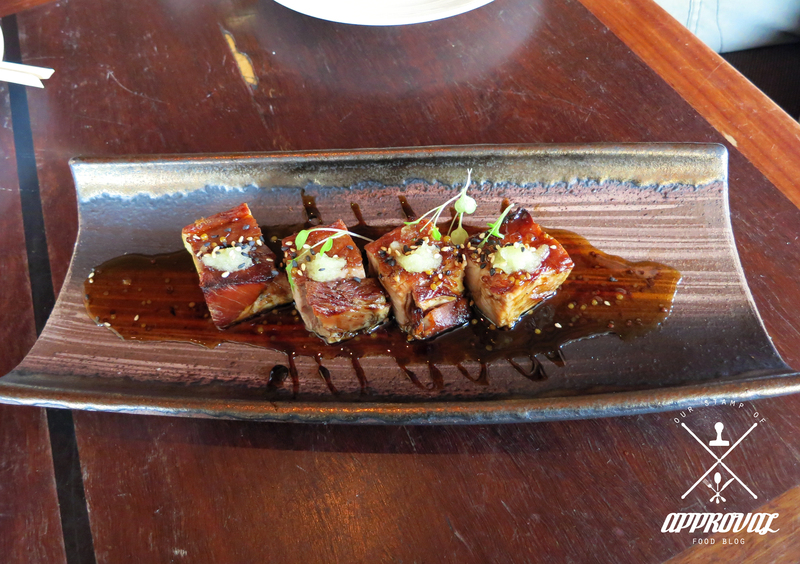 I honestly don’t have much to say about this dish, I enjoyed it but it didn’t have any wow factor to it. 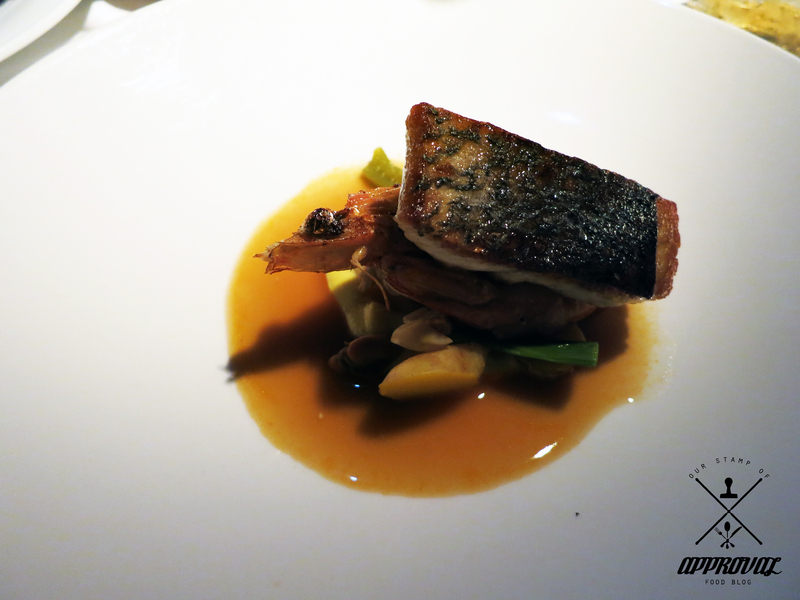 Jimmy: My main “Mulloway with prawn, mussel, clam, capsicum, leek, potato, rouille.” Even though it did not meet my expectations, this was a very enjoyable dish. It was my stand out for the night. 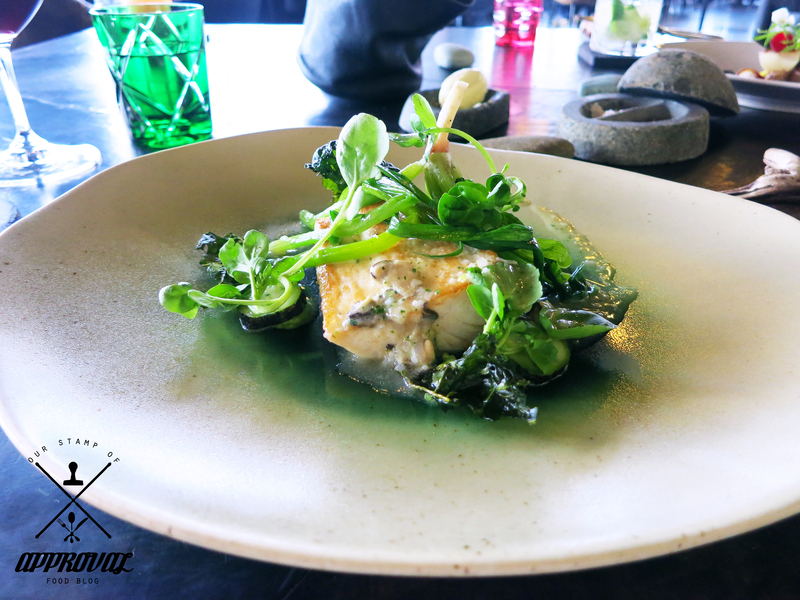 For me, Mulloway will always catch my eye on the menu. It tasted fresh straight from Palmer Island. 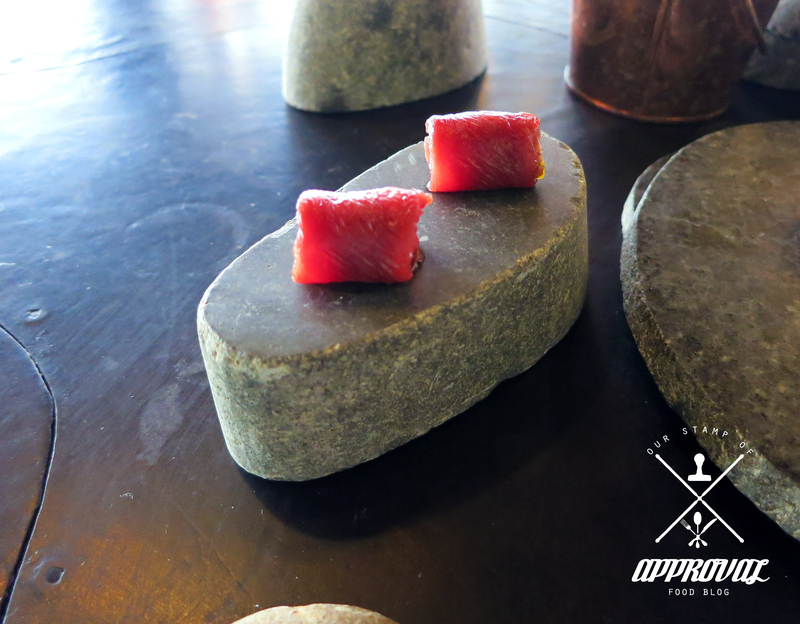 The rouille does it’s job, complementing the mulloway, mussel and clam well. 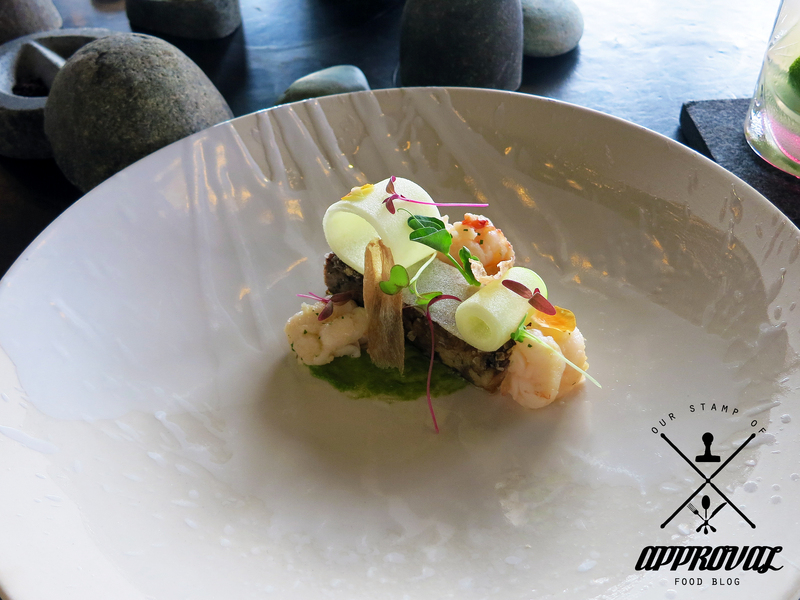 The prawn, with it’s head surprisingly is important in giving this dish an overall appeasing look. 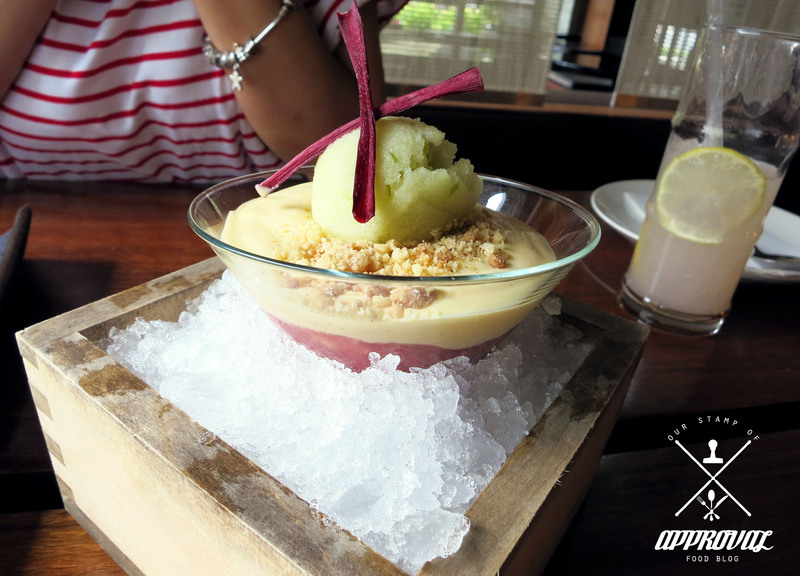 Jessica: The granita and cream was something different, it definitely needed the cream as the granita was too overpowering on its own. 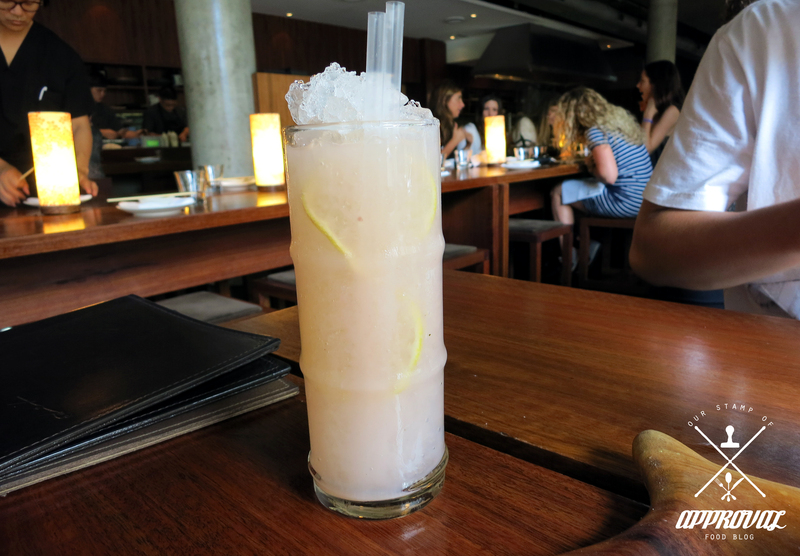 Jimmy: The Champagne grapefruit granita was amazing. Really got me looking forward to my dessert. It may be due to the flavour of the champagne/grapefruit that may put many people off but tasted with the creme chantilly together, you can’t go wrong. Jessica: My second favourite dish of the night! The caramel ice cream was a bit of a disappointment, it didn’t have that much flavour to it. However, the caramelised bananas was the winning element. 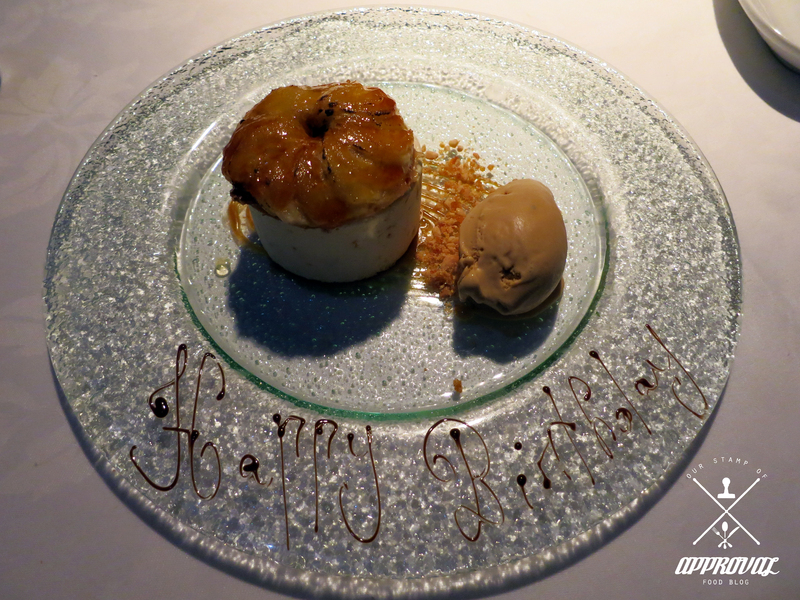 I’ve never seen any dessert with caramelised bananas before, I didn’t expect much from it. 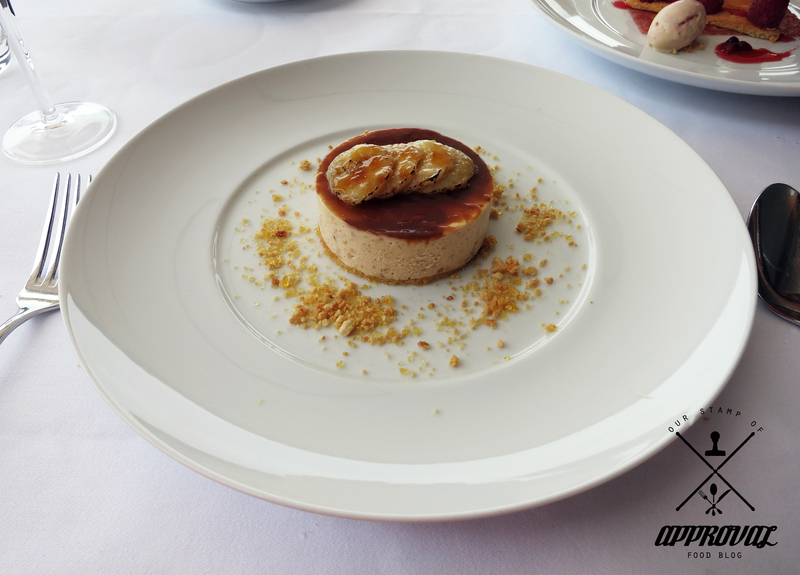 You could still taste the sweetness of the banana and having it caramelised just brought it to life! 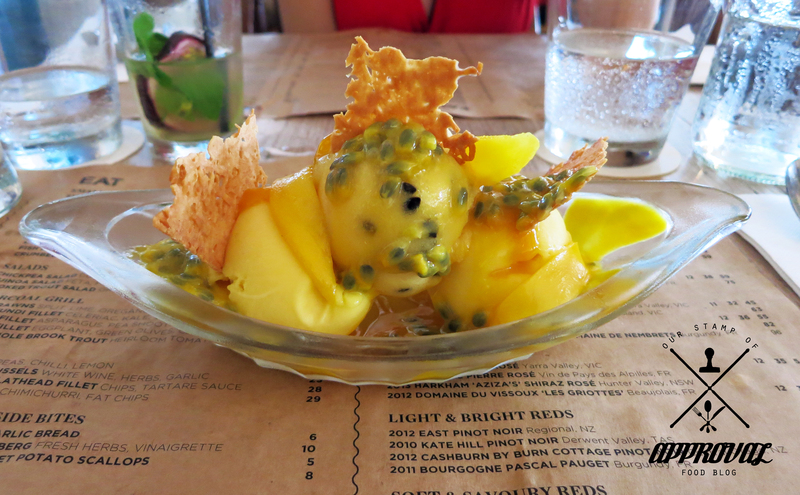 I would order this dish again just to have those caramelised bananas! Jimmy: My dessert “Chocolate souffle w/ cherry ripple ice-cream.” Was never a fan of souffle’s however I took a gamble by choosing this dessert. 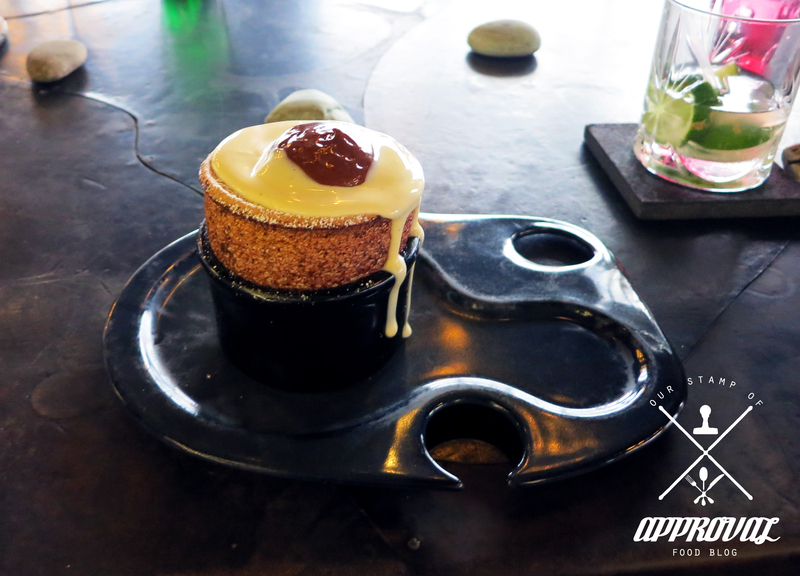 With the waiter dunking in the scoop of the cherry ripple ice-cream, I was ready to “dig in.” There were many things that disappointed me with this dessert and i guess it was my high expectations that played a large part. 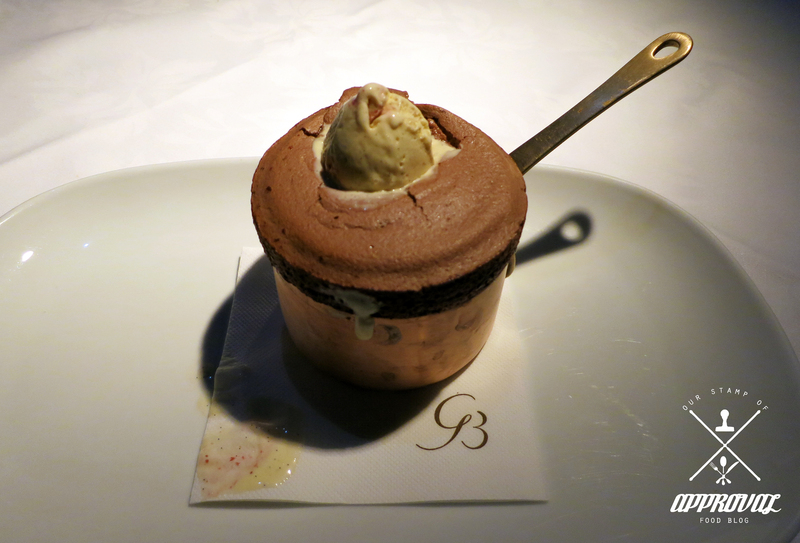 It lacked in the sweet department, the souffle was very light but I was hoping for a little more flavour. So i needed to try it with the cherry ripple ice-cream. 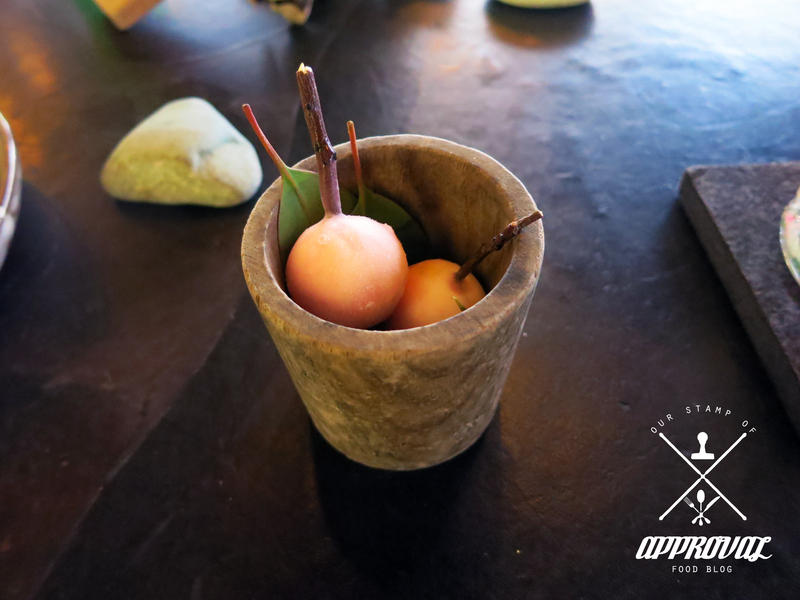 Now, if there were a little more of the cherry ripple ice-cream, this dessert would be great. It was a let down and needed a little more in my opinion. Expectations were high due to the reputation of this restaurant and the occasion. From the dining experience –as we could both agree on– was a let down. There were many great aspects, the service was professional (excluding the sommelier that took my drink order and gave me an odd look when i ordered cognac) the view was amazing and the produce was of high standard. By the end of our mains we felt a little tired and felt the wait time was longer than expected and that effected our dining experience a lot. 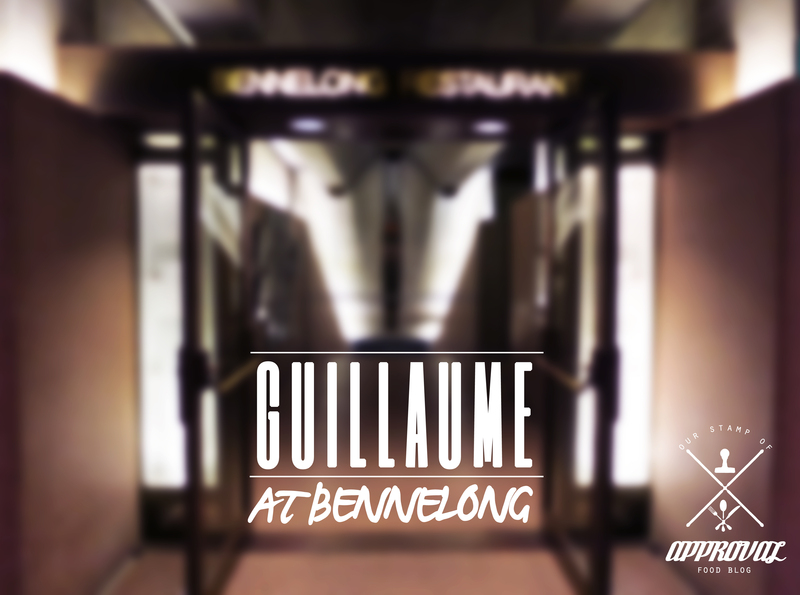 Guillaume at Bennelong has announced that it will be closing down by the year’s end. 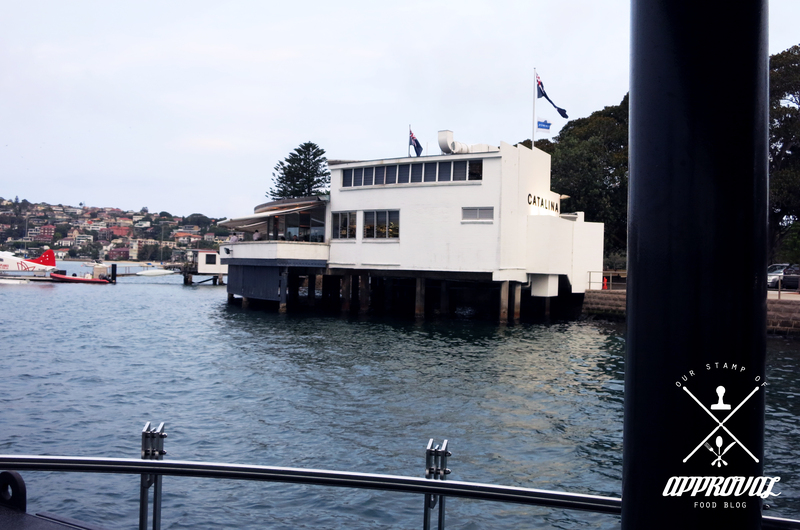 We were happy to have experienced this iconic three hat restaurant.